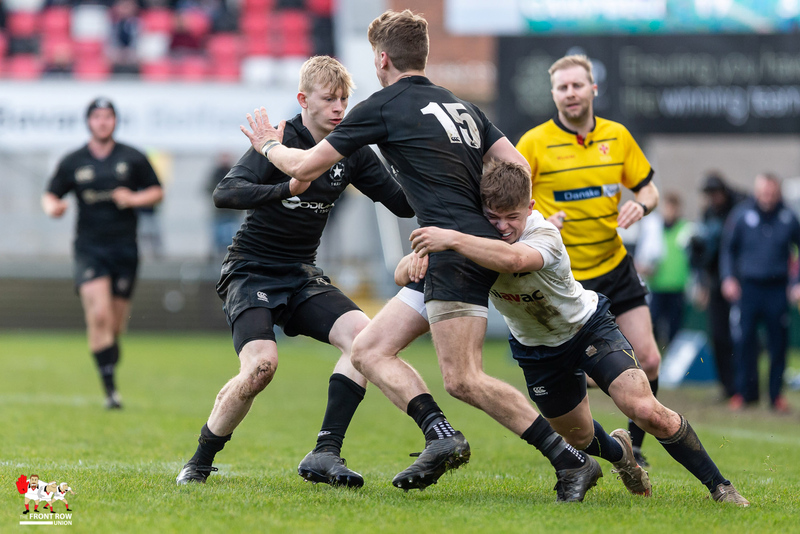 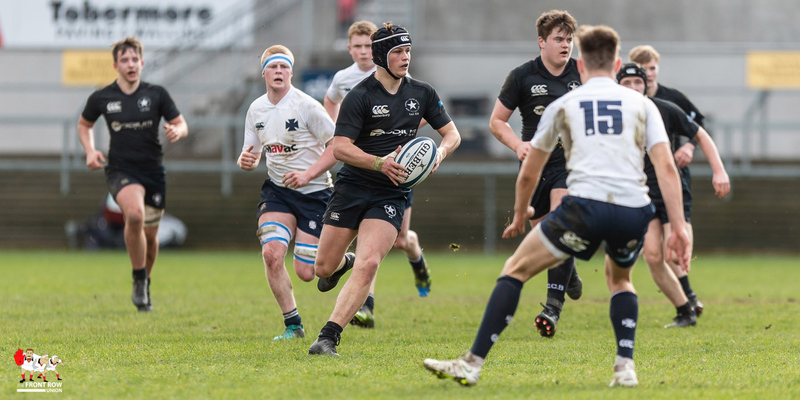 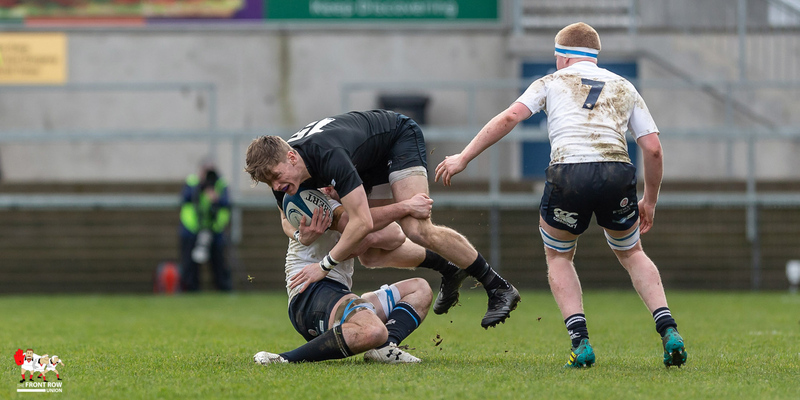 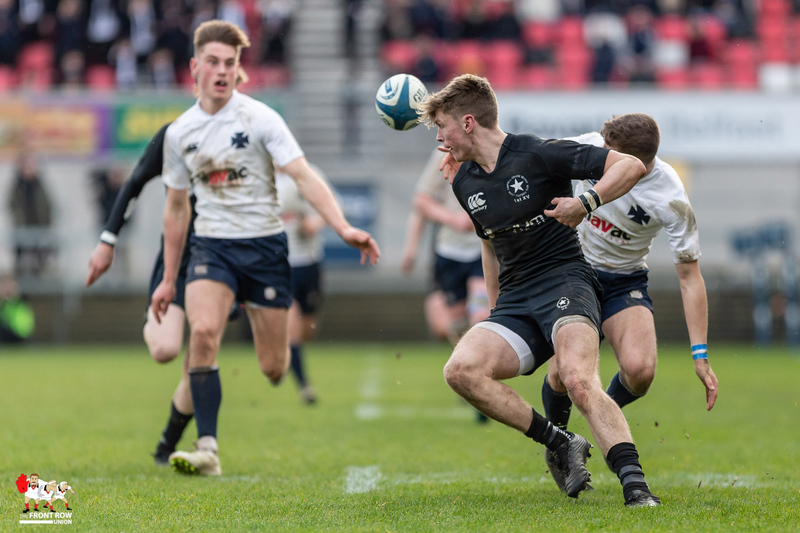 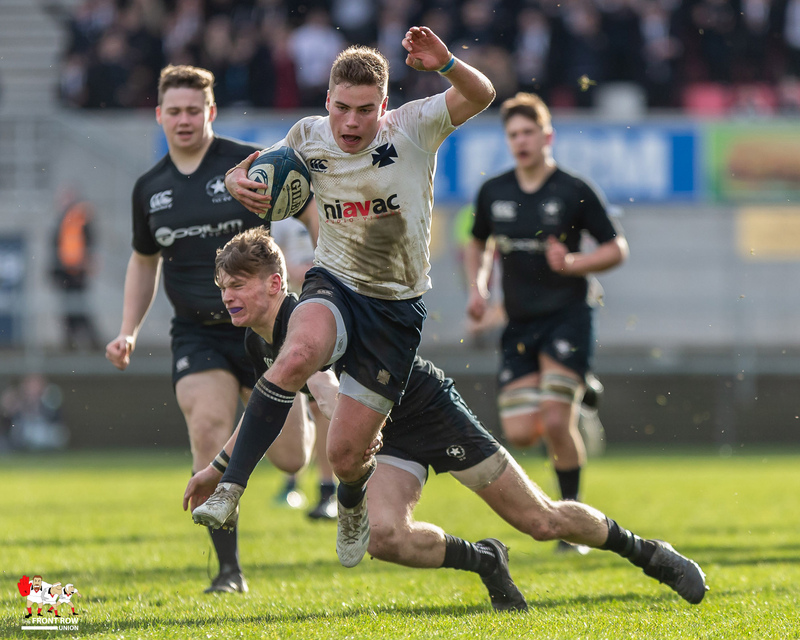 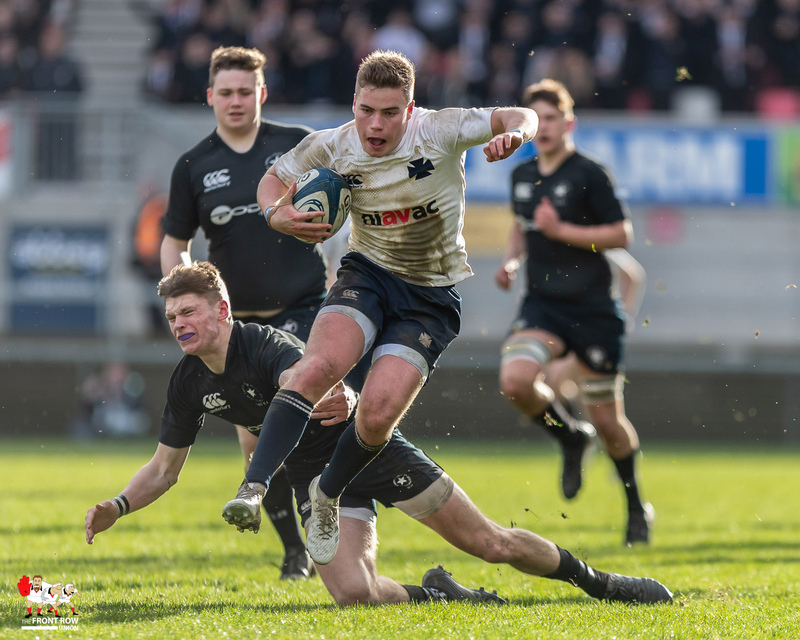 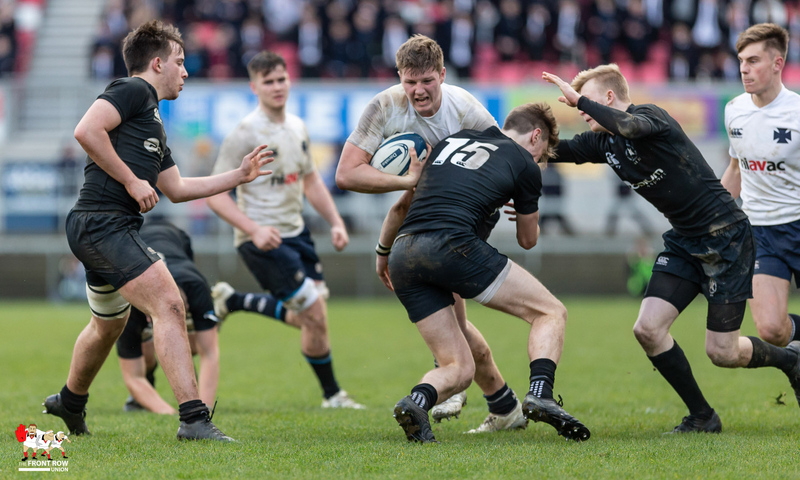 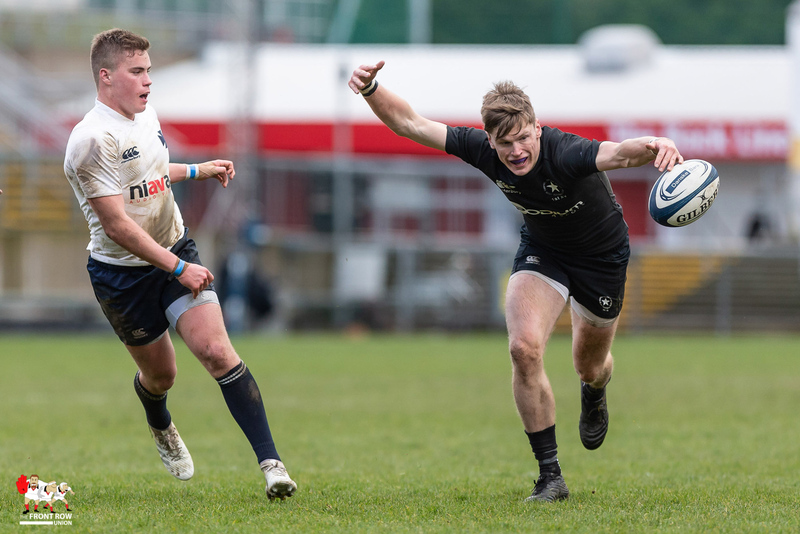 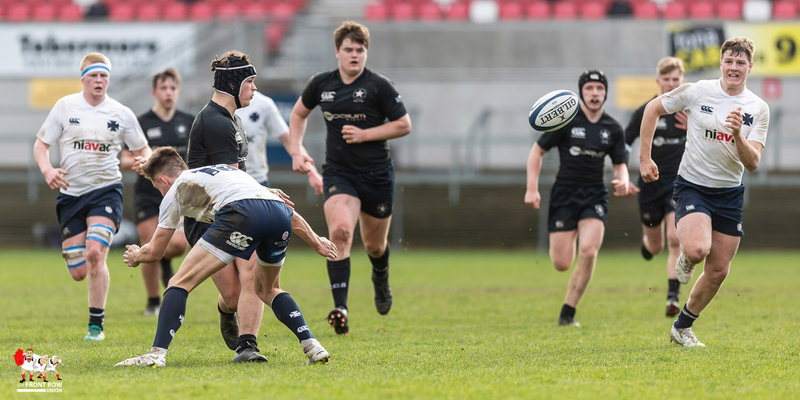 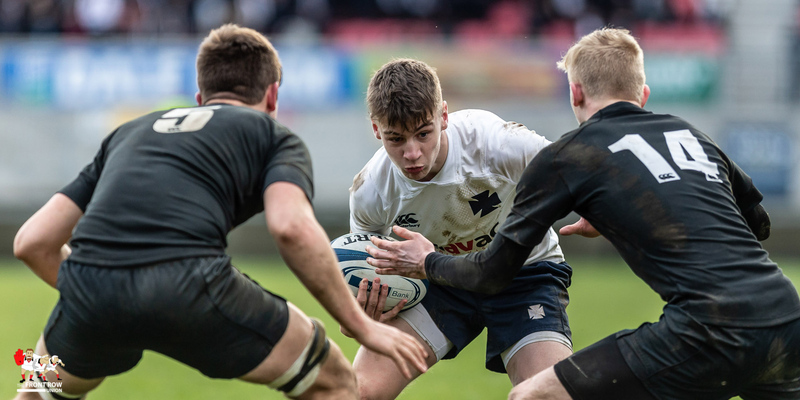 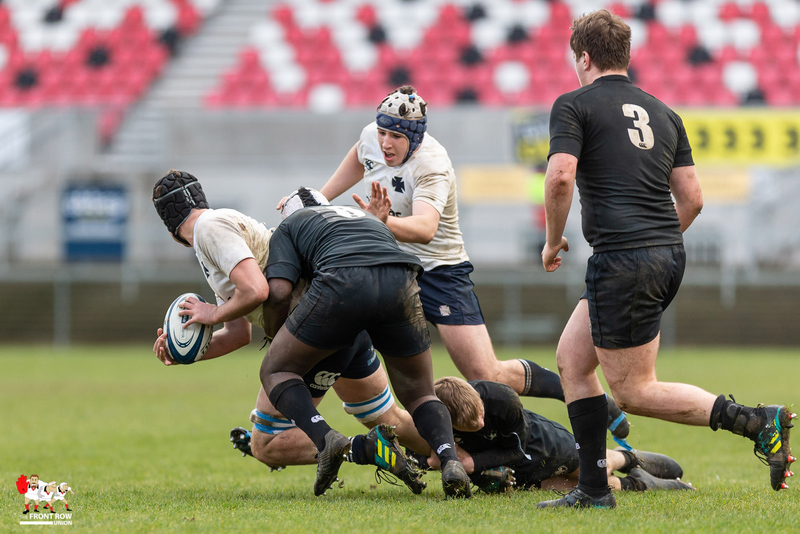 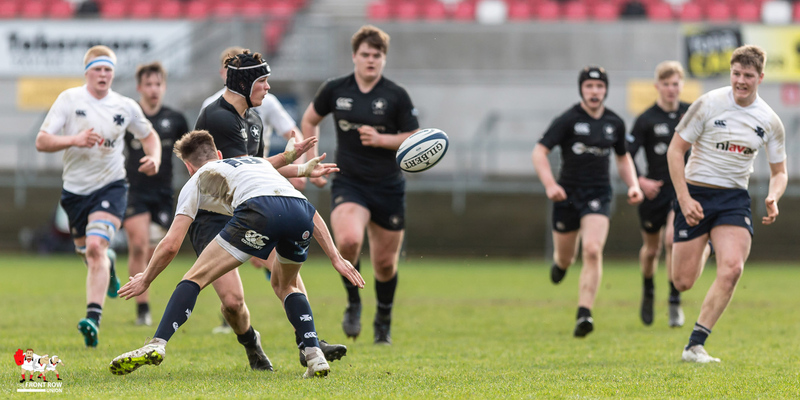 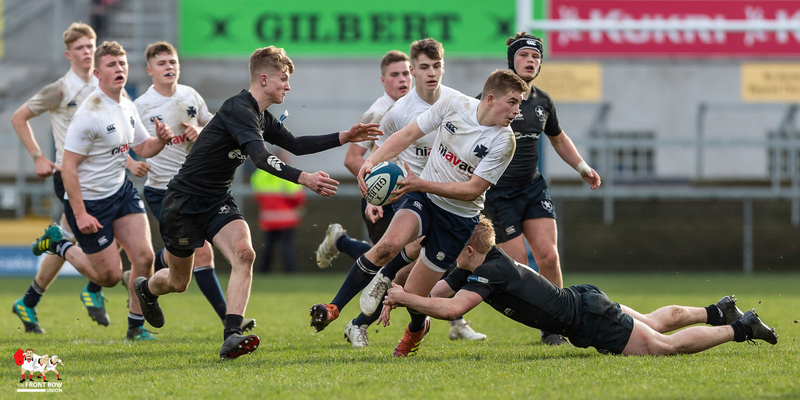 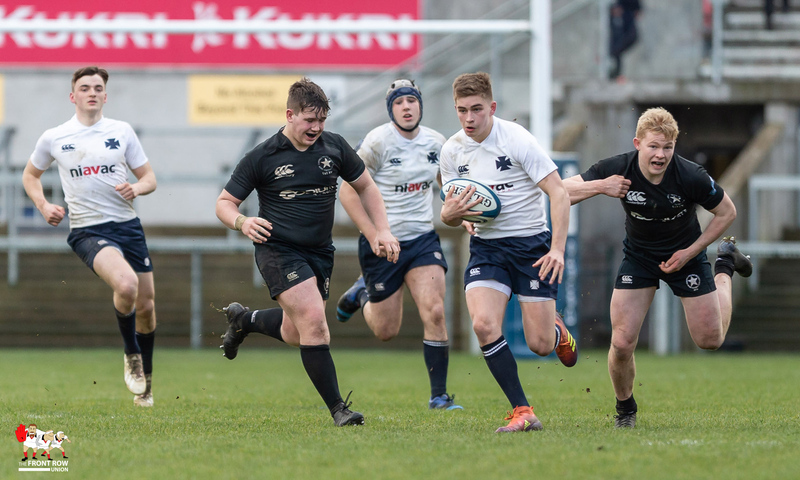 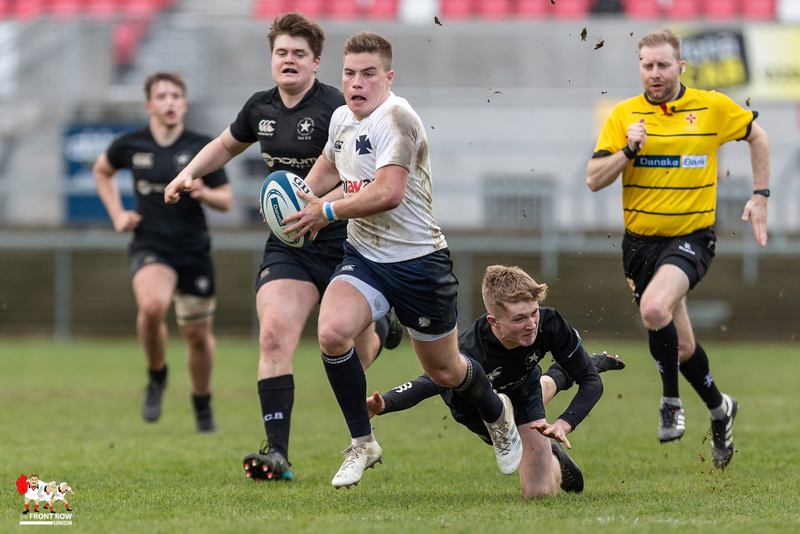 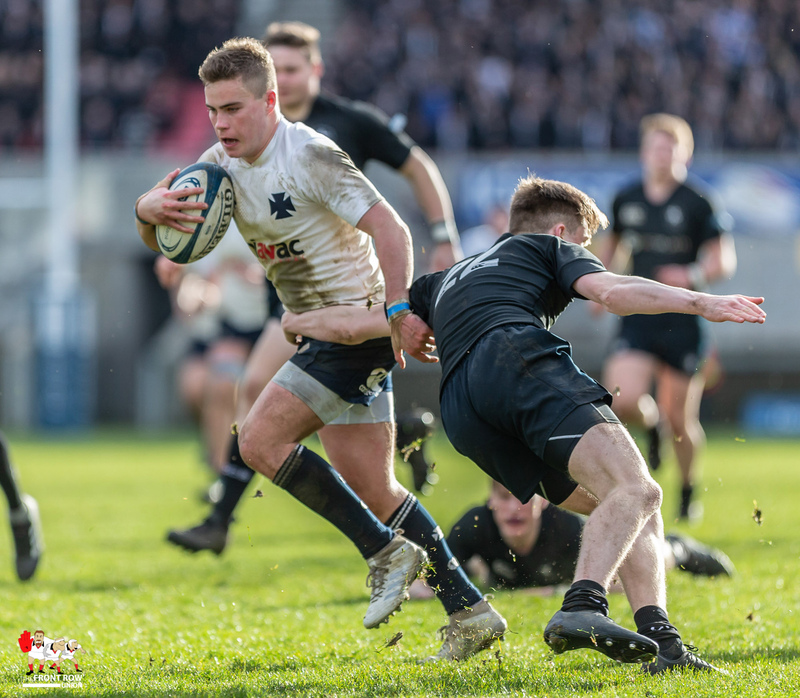 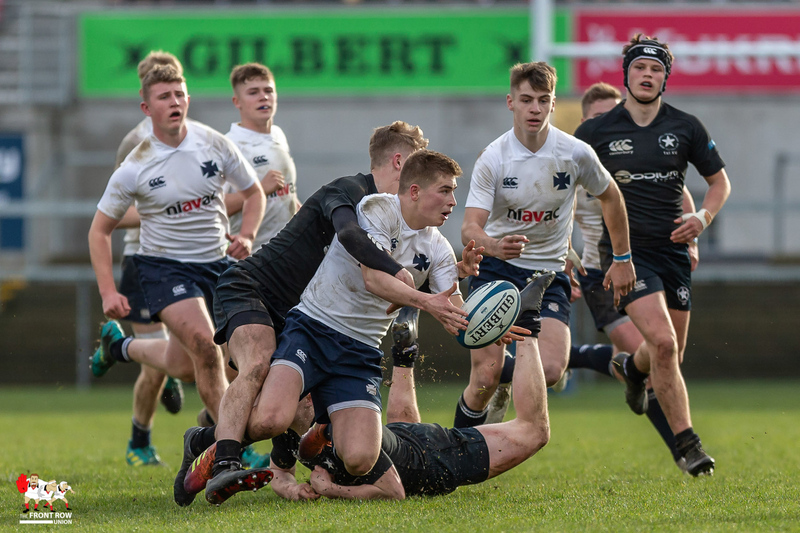 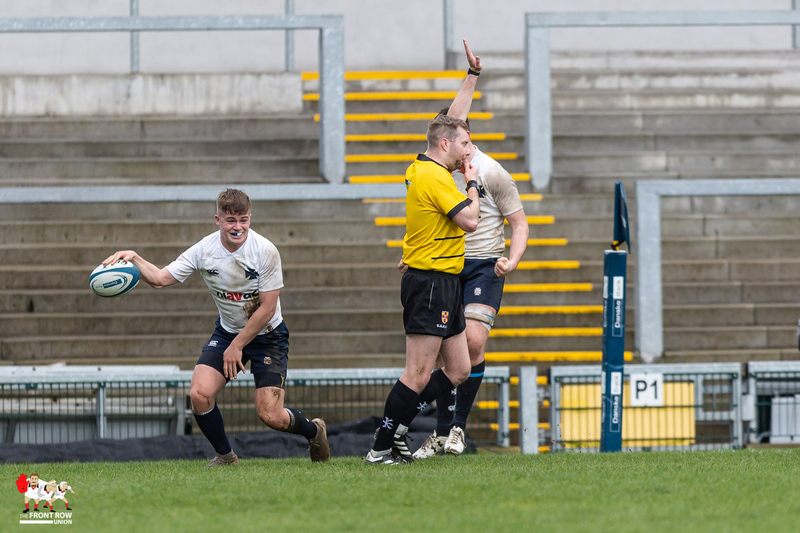 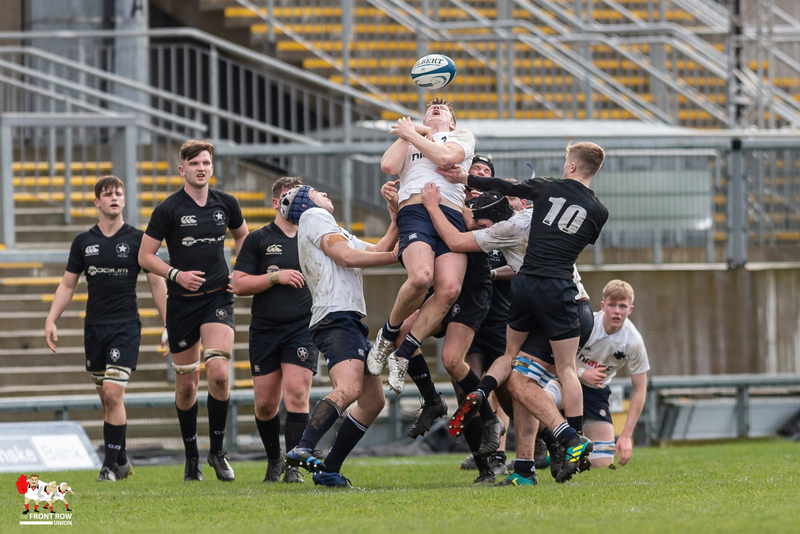 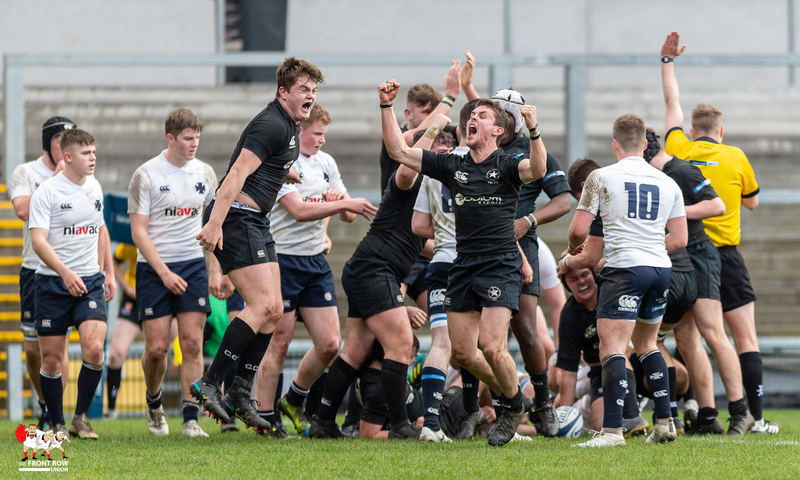 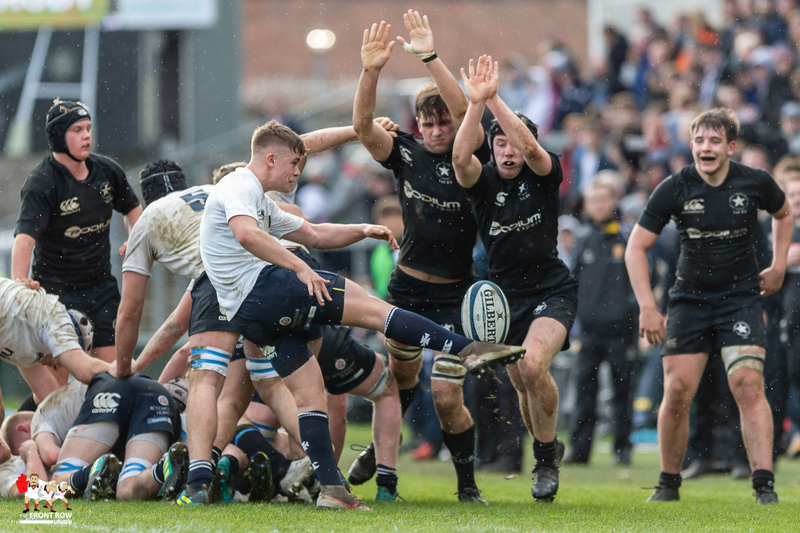 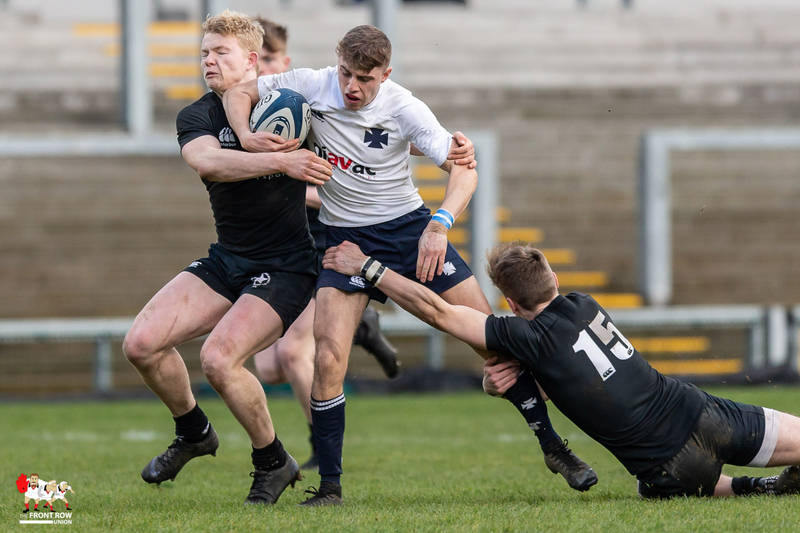 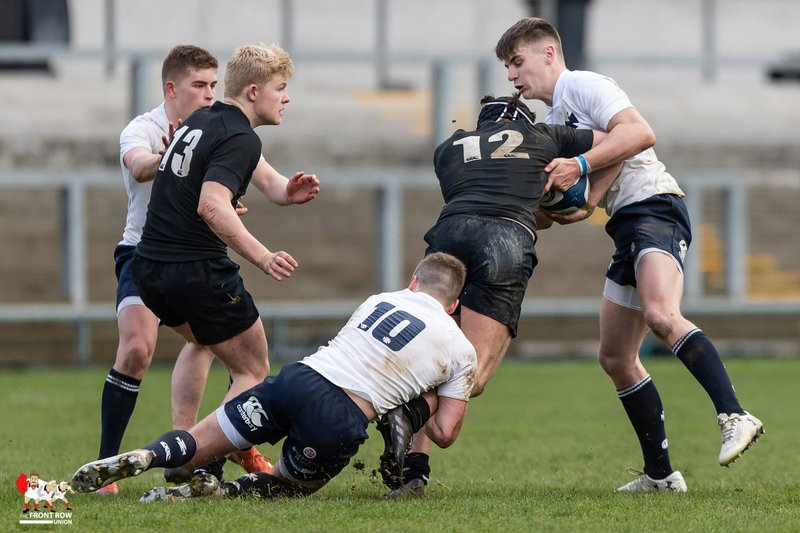 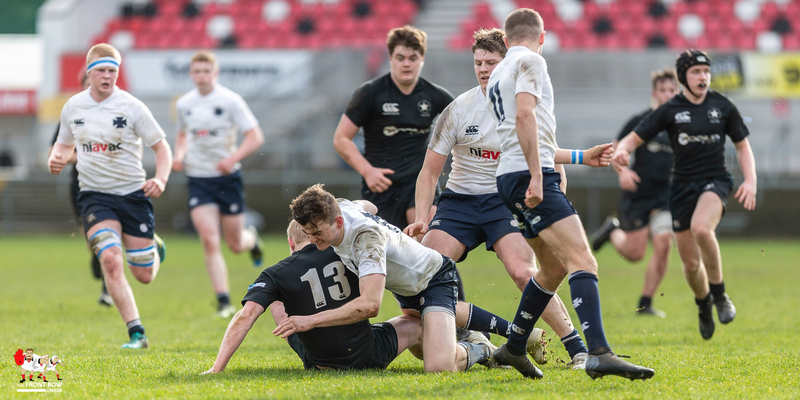 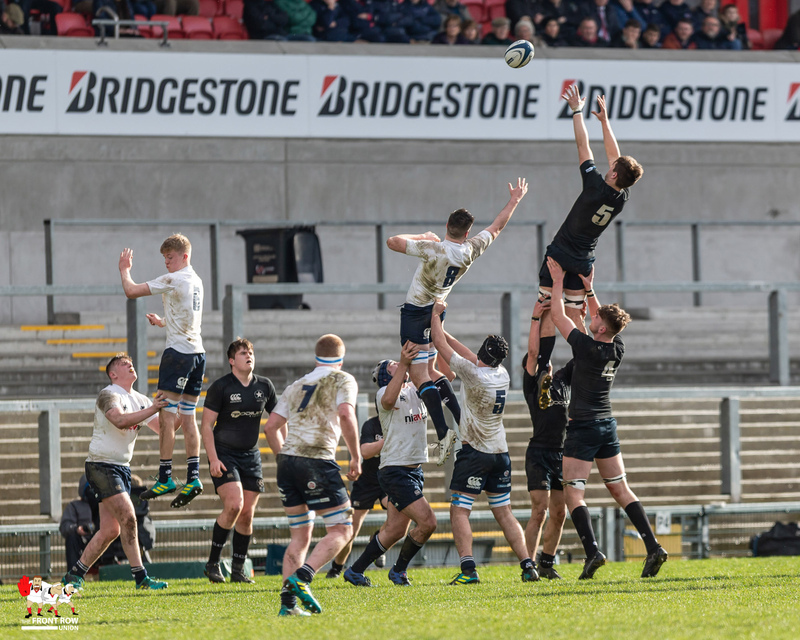 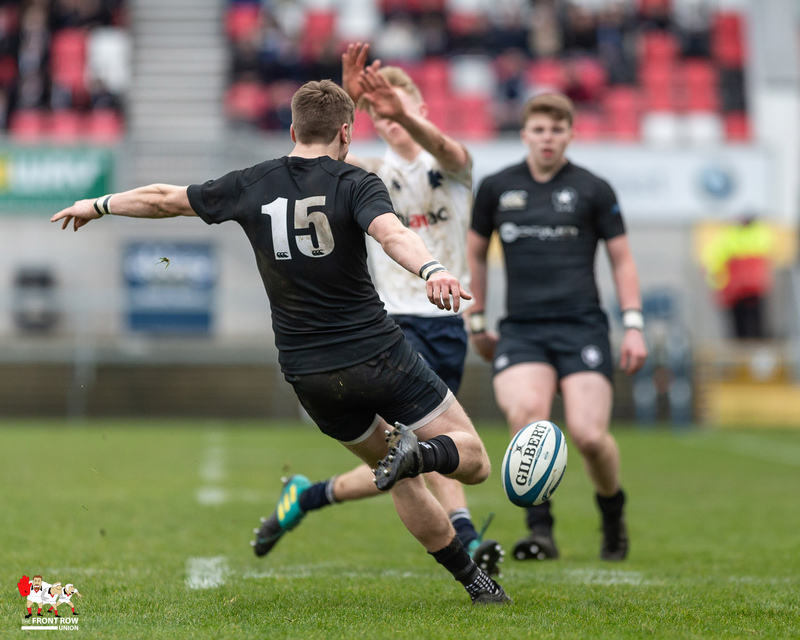 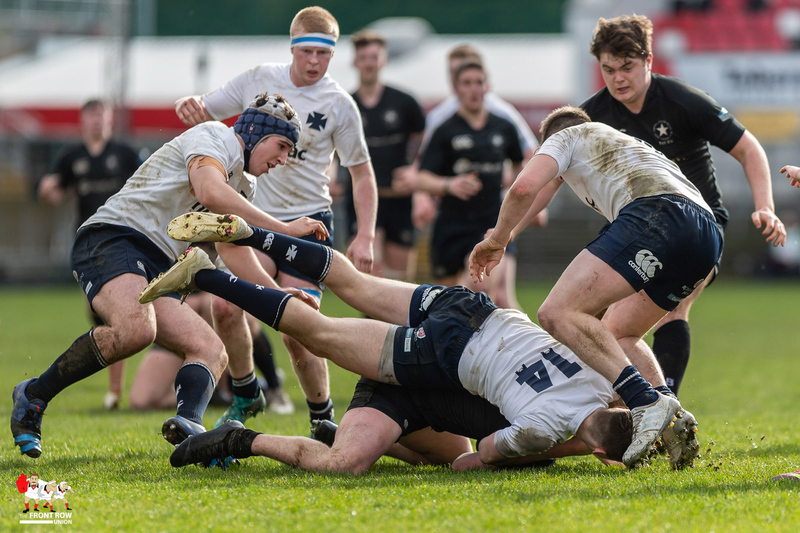 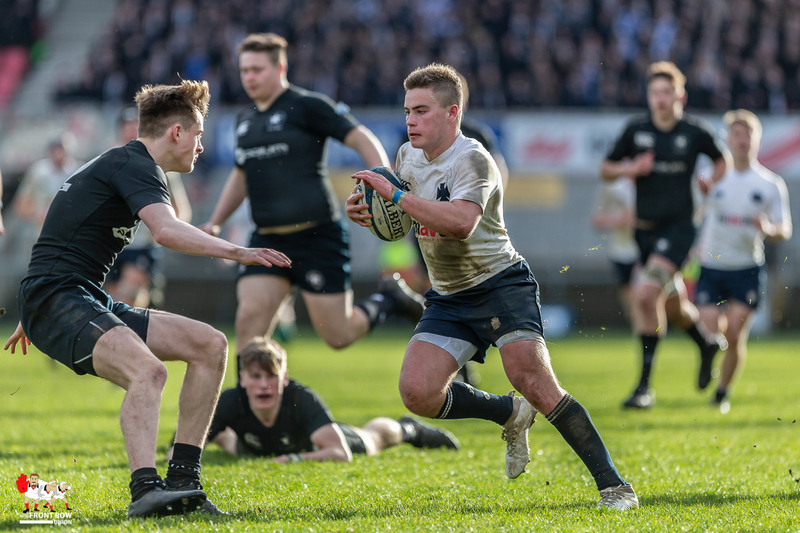 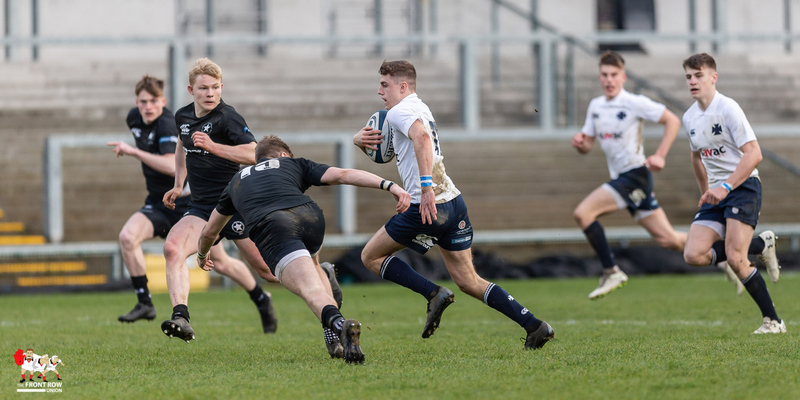 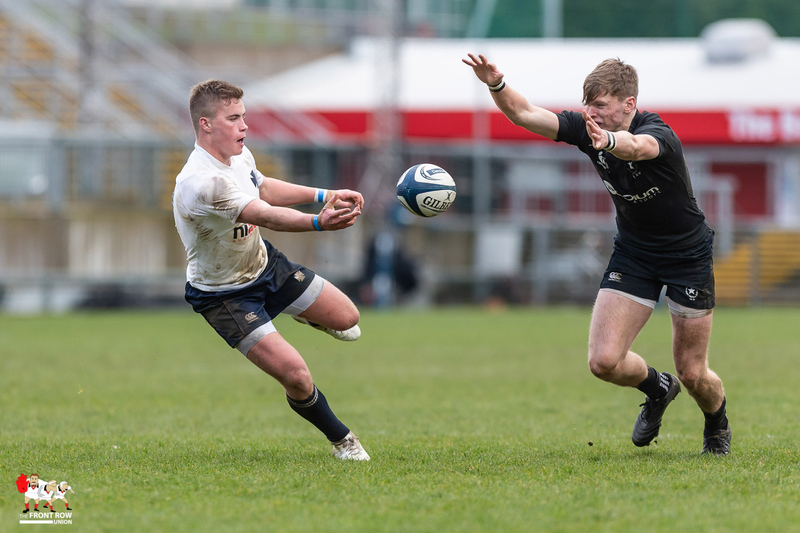 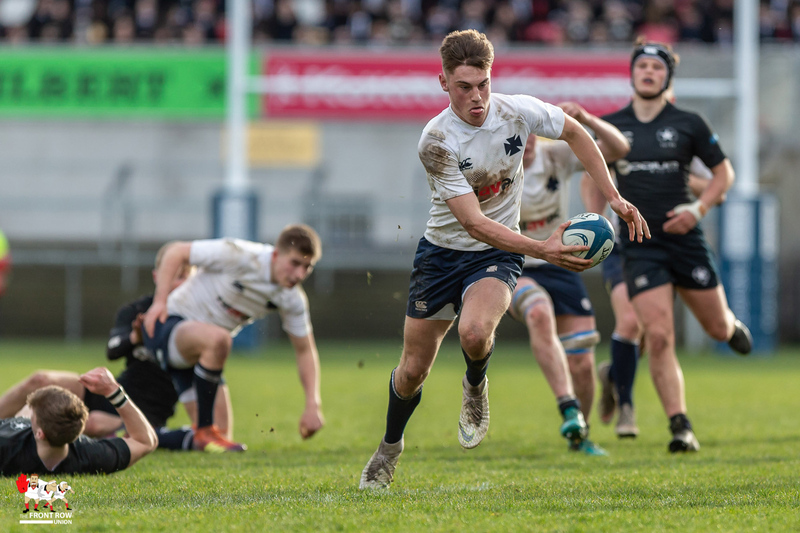 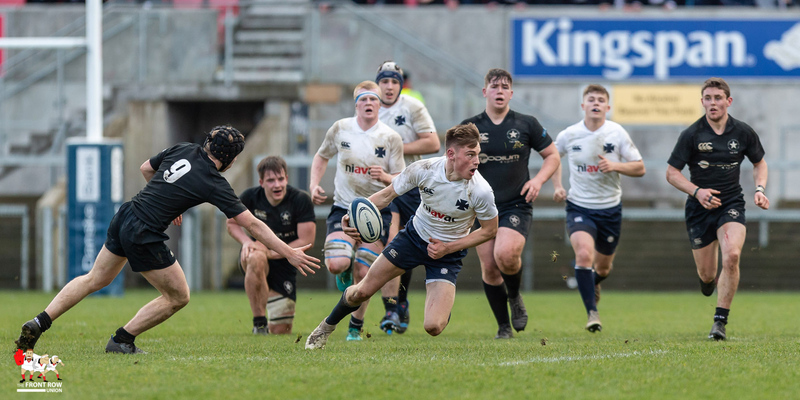 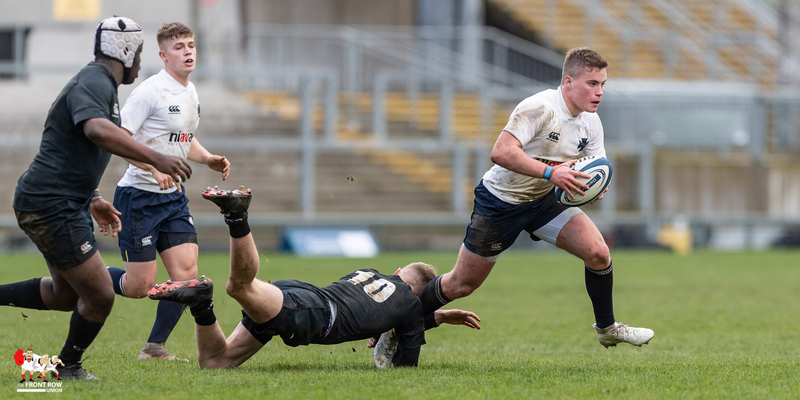 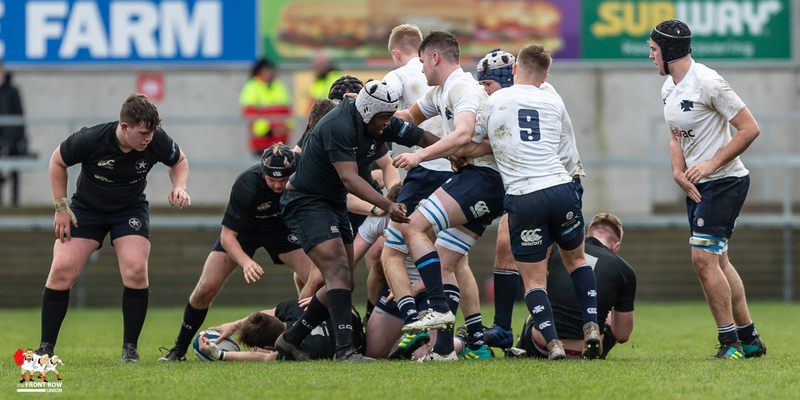 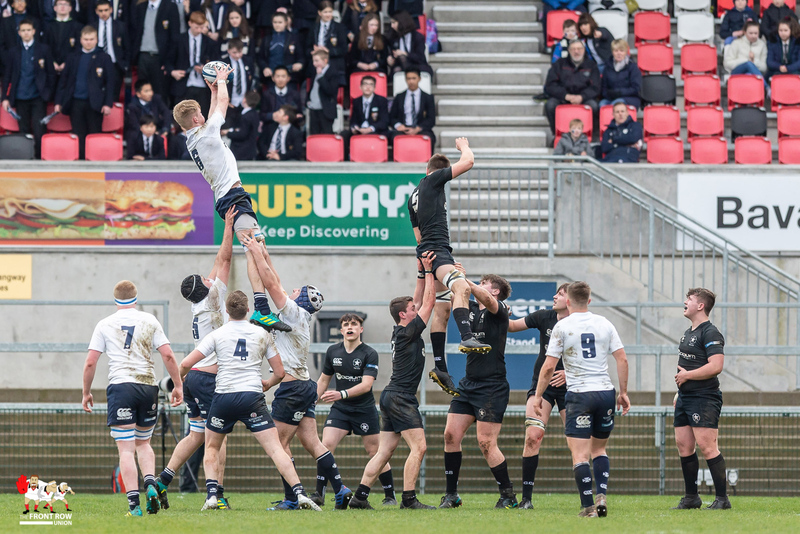 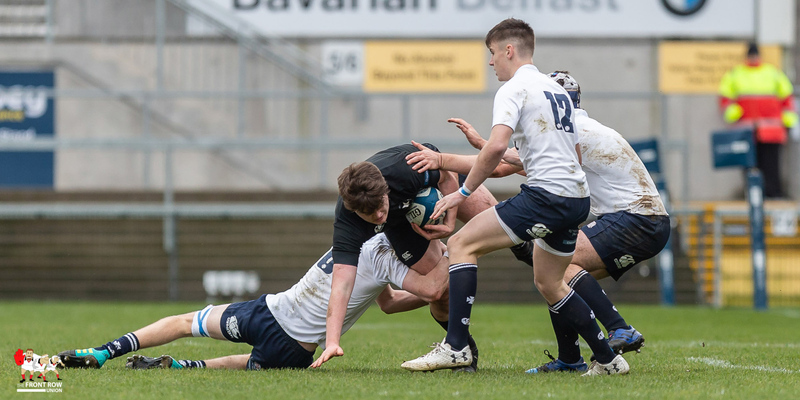 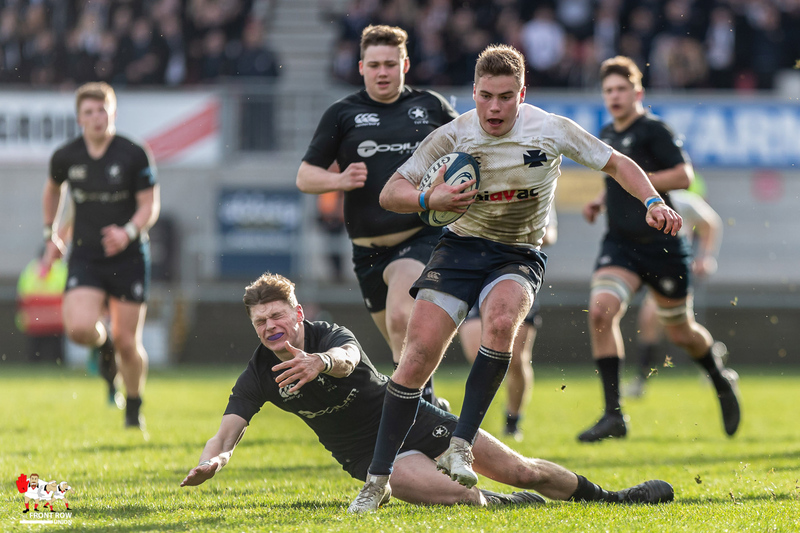 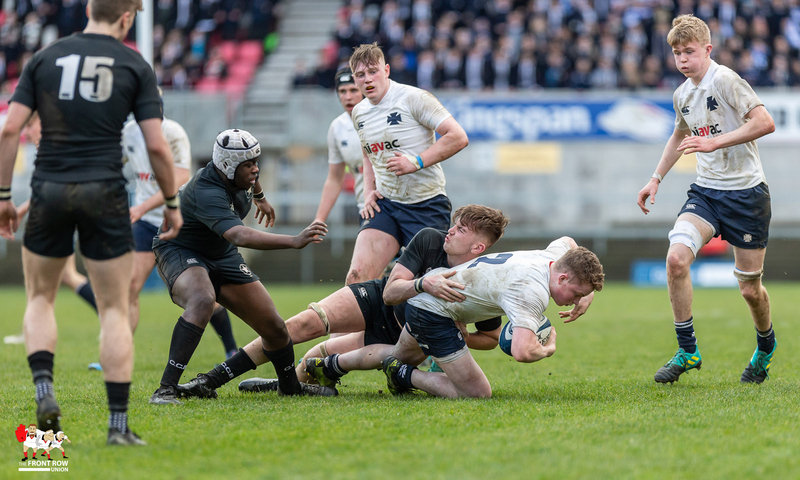 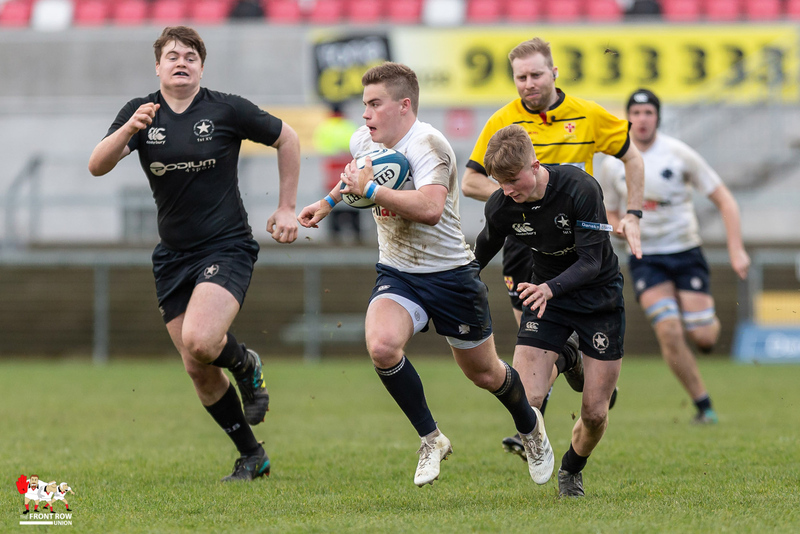 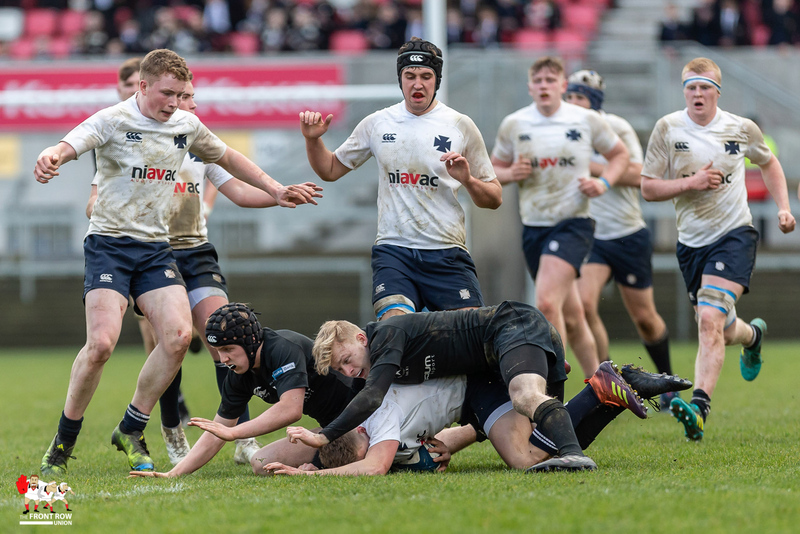 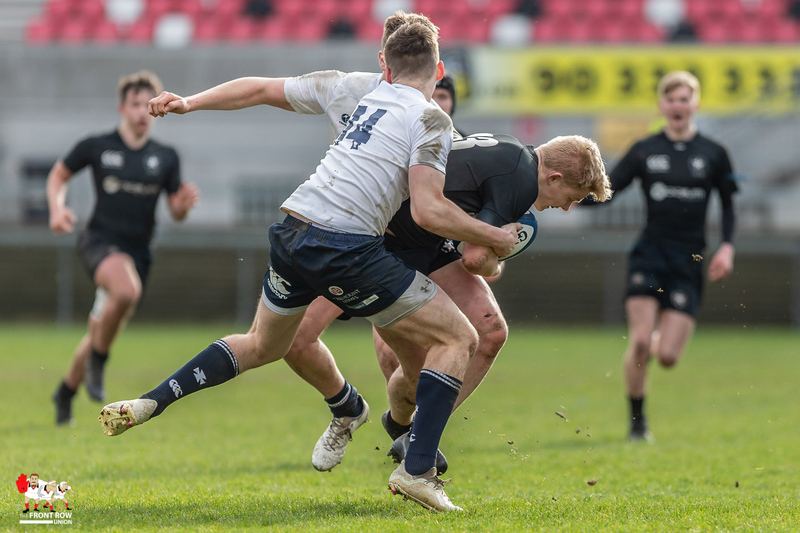 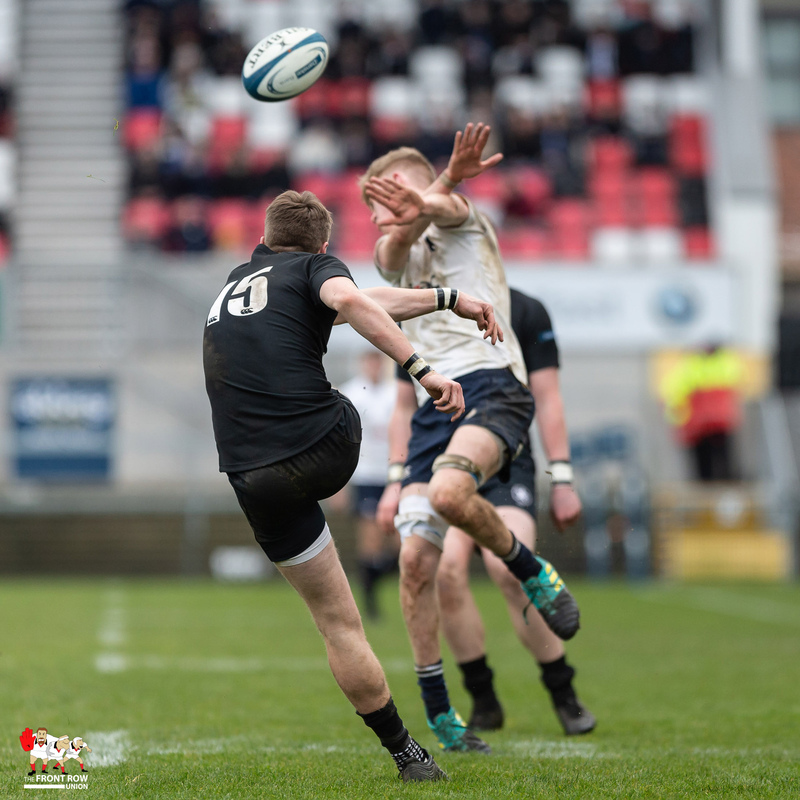 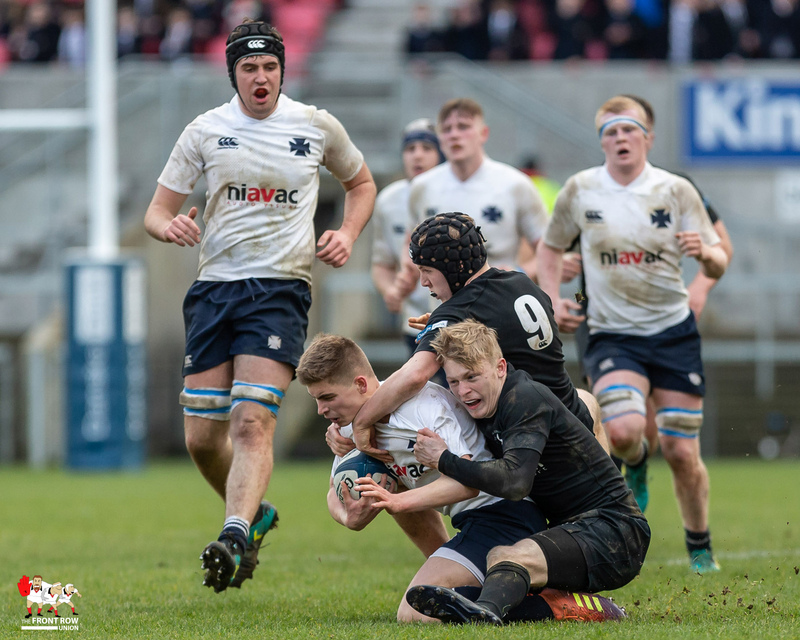 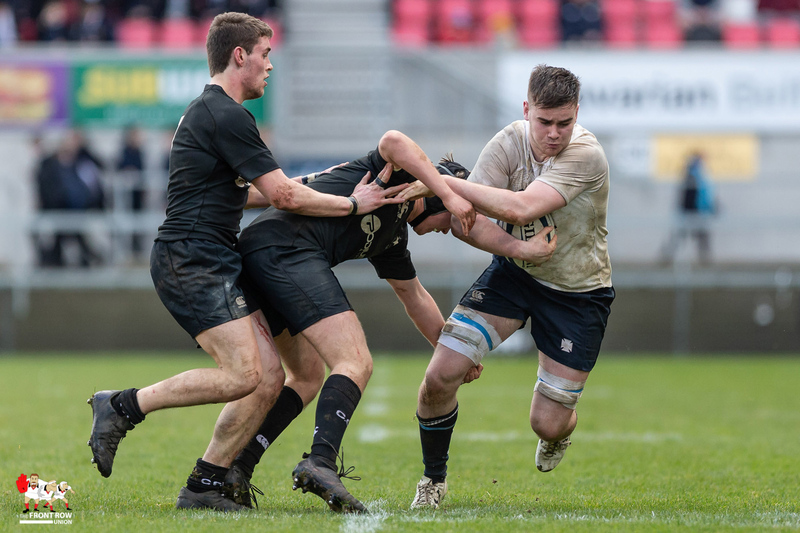 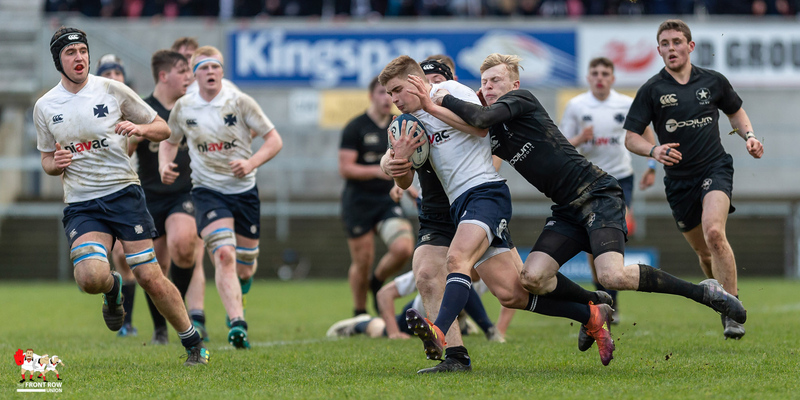 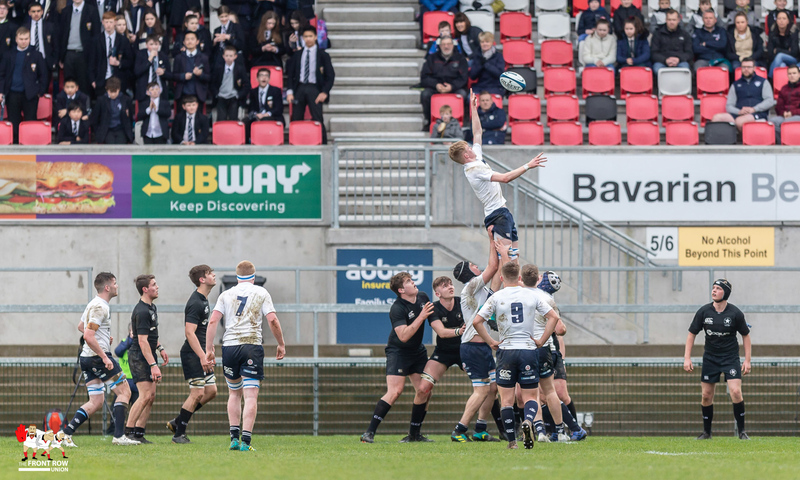 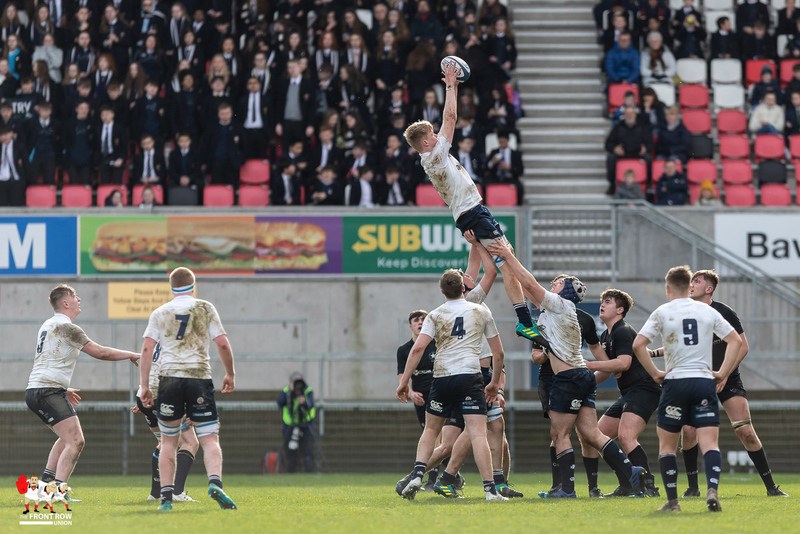 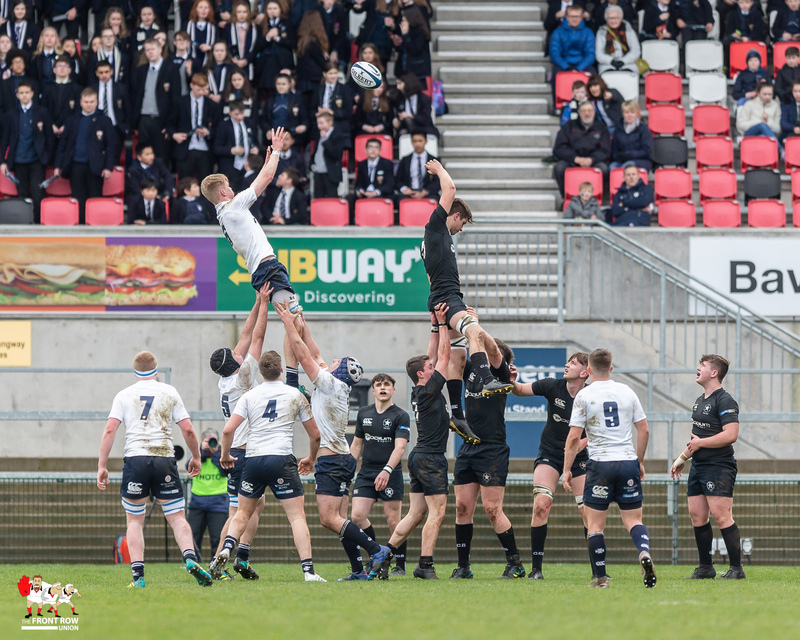 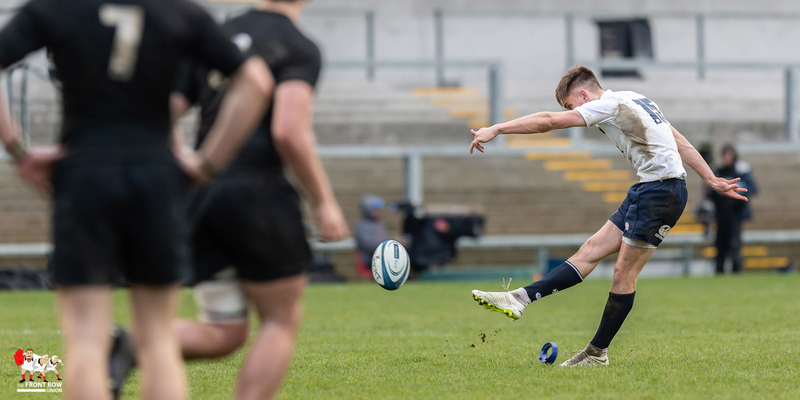 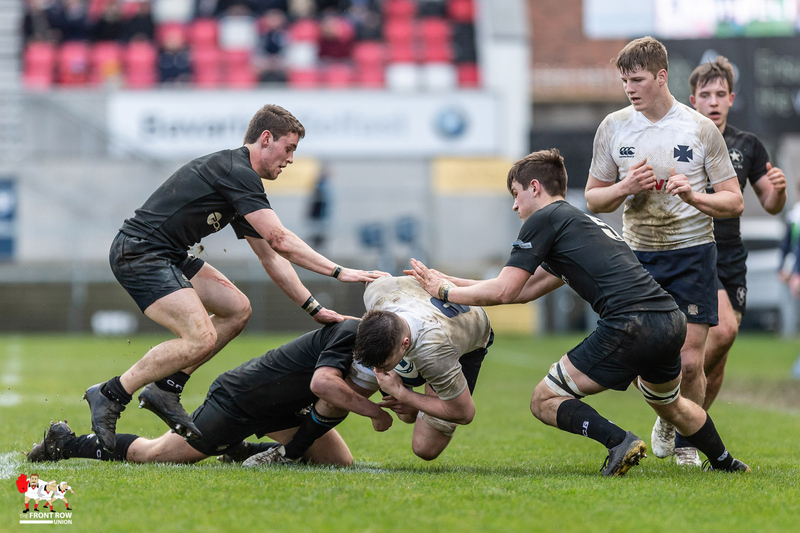 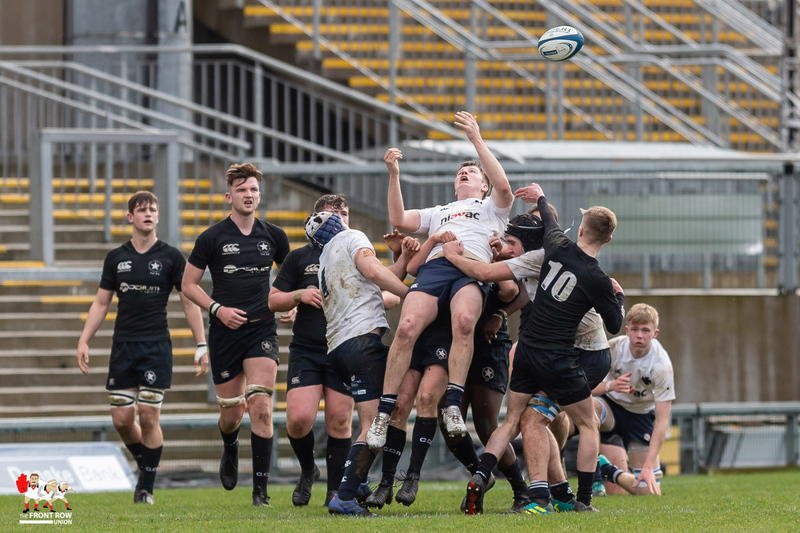 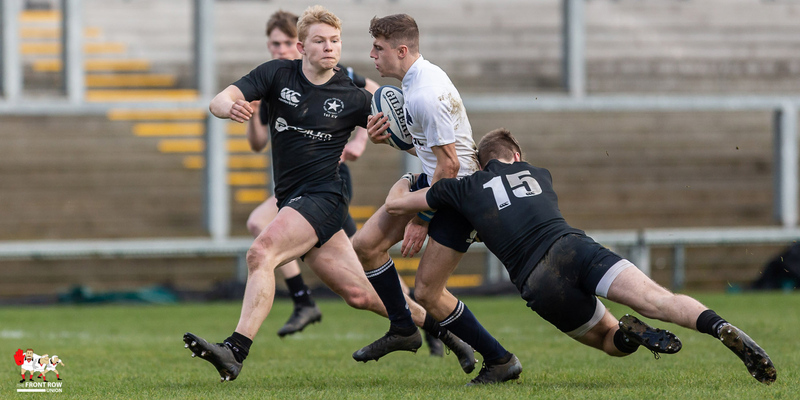 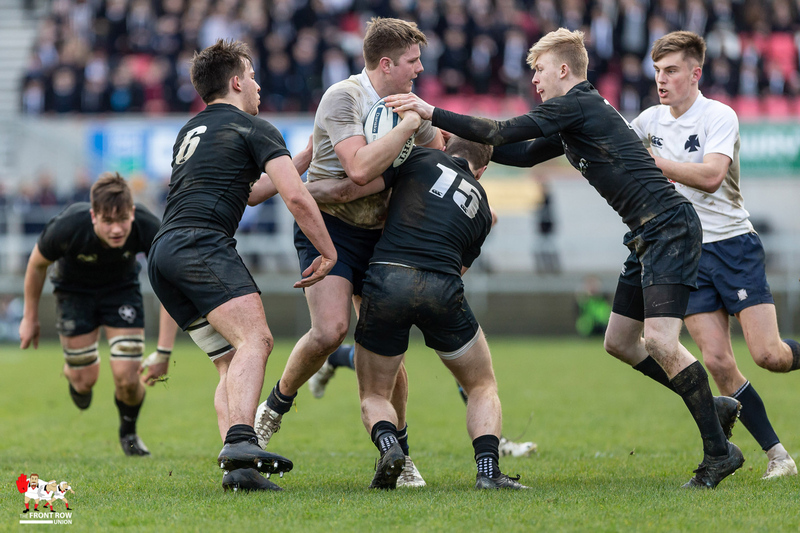 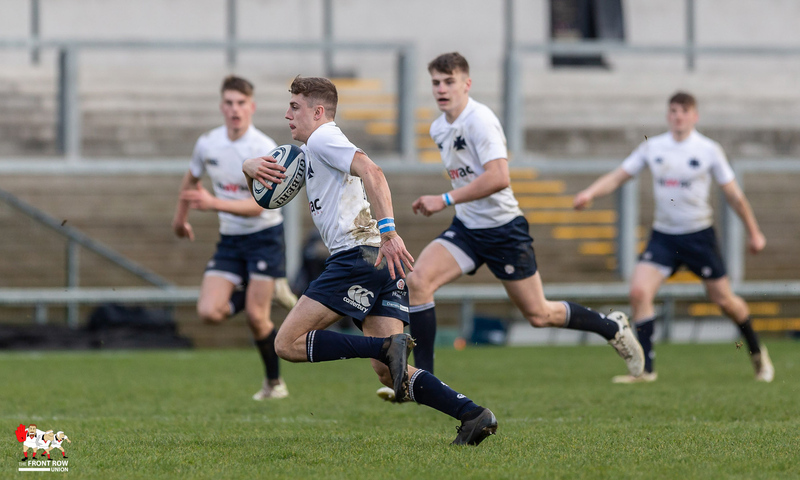 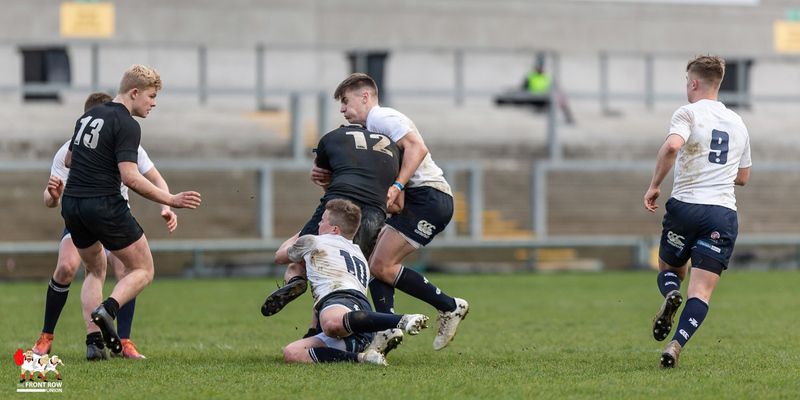 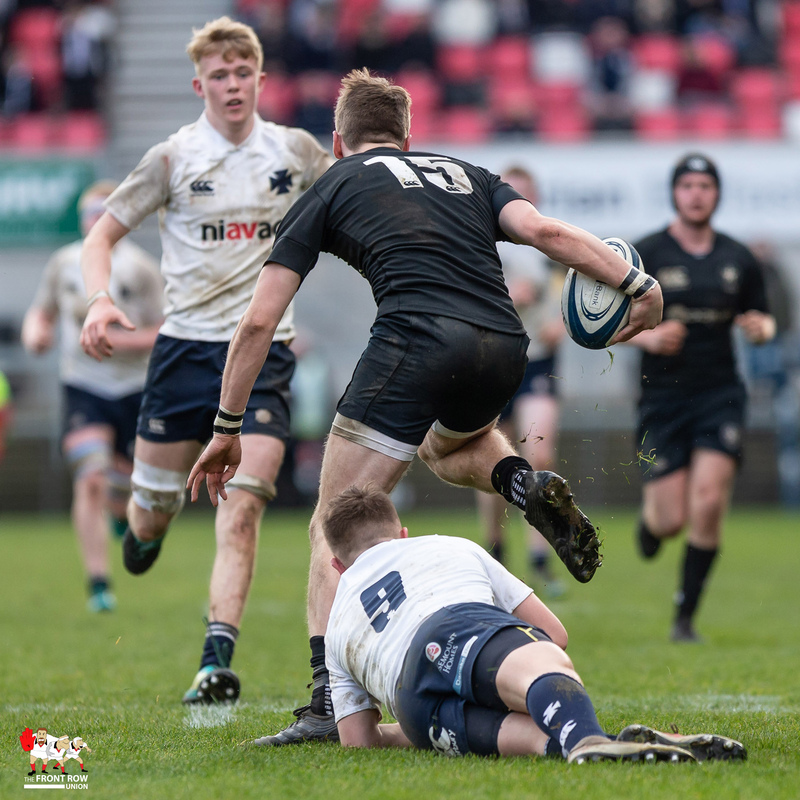 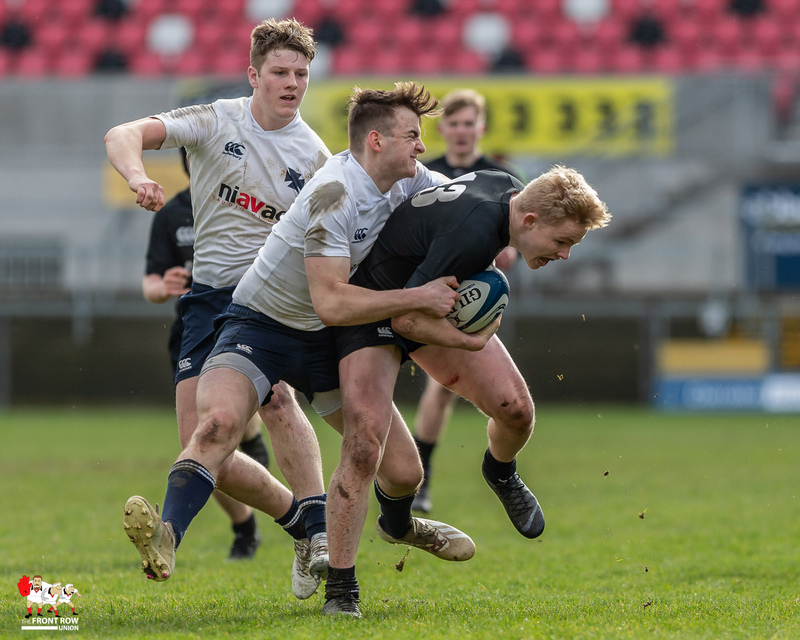 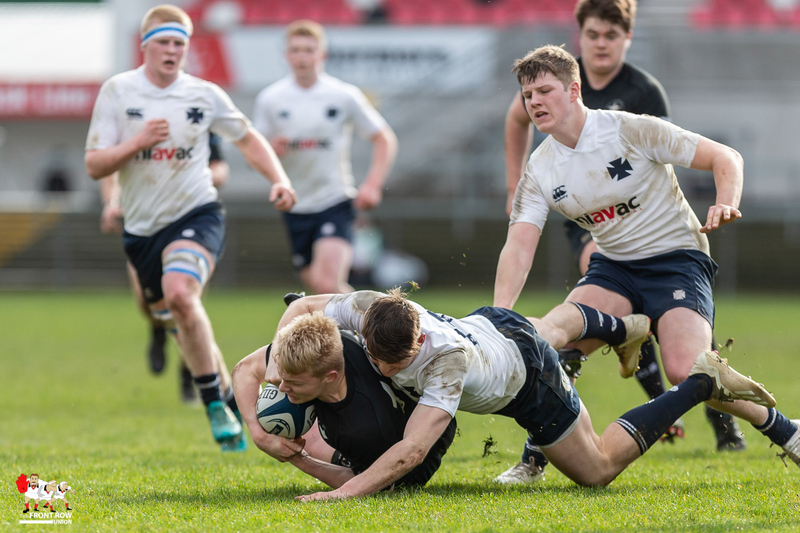 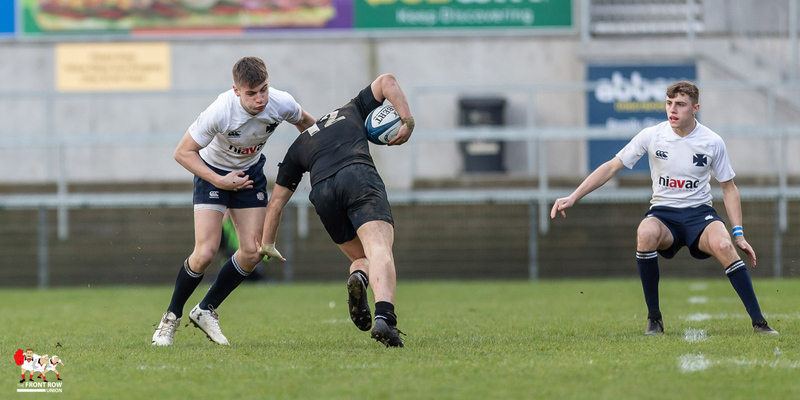 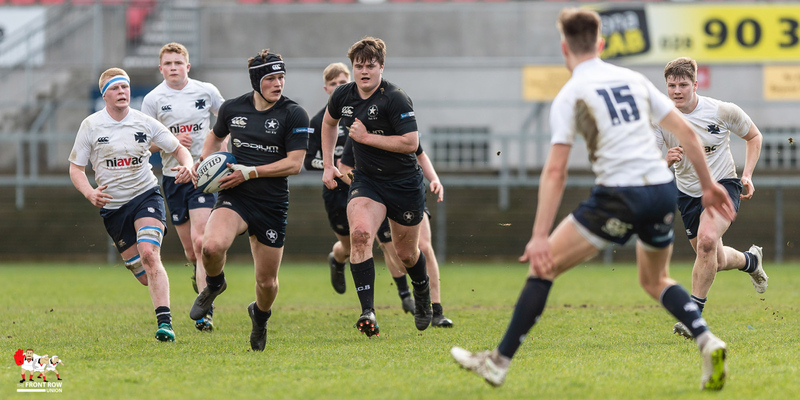 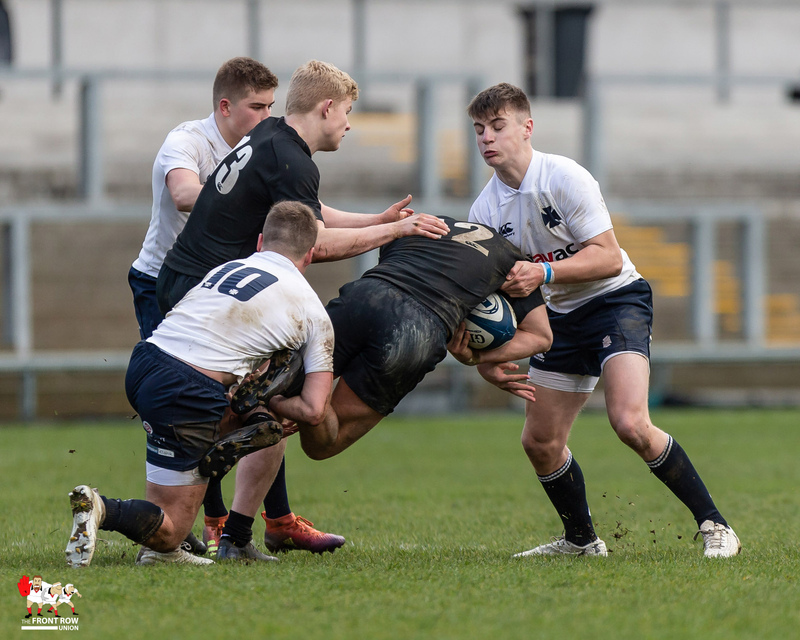 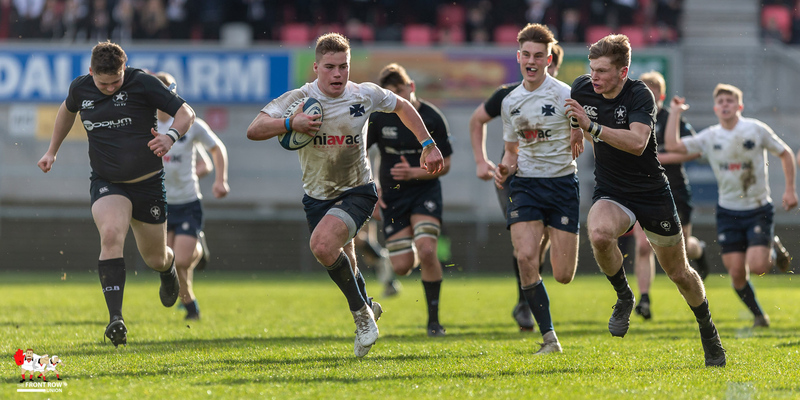 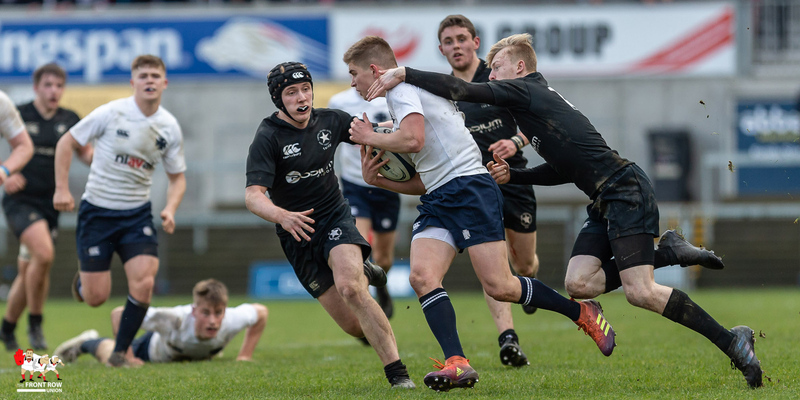 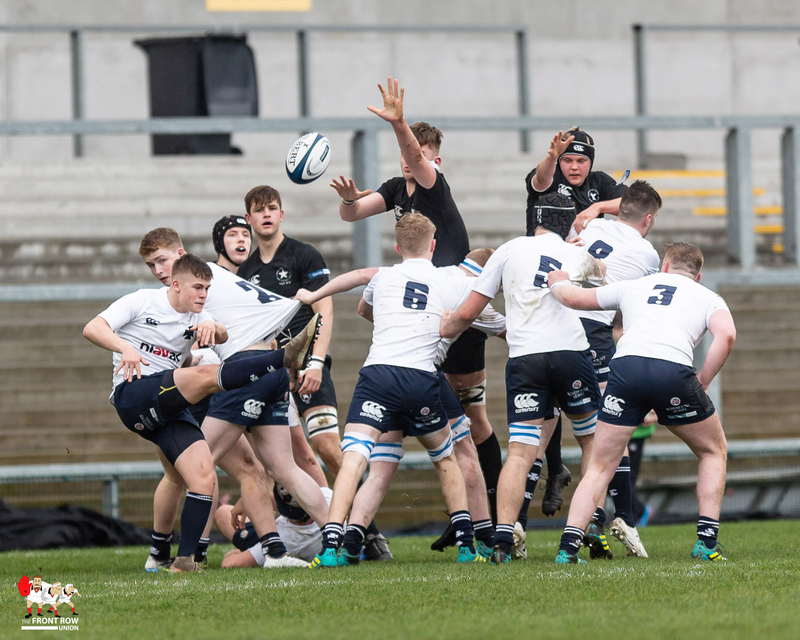 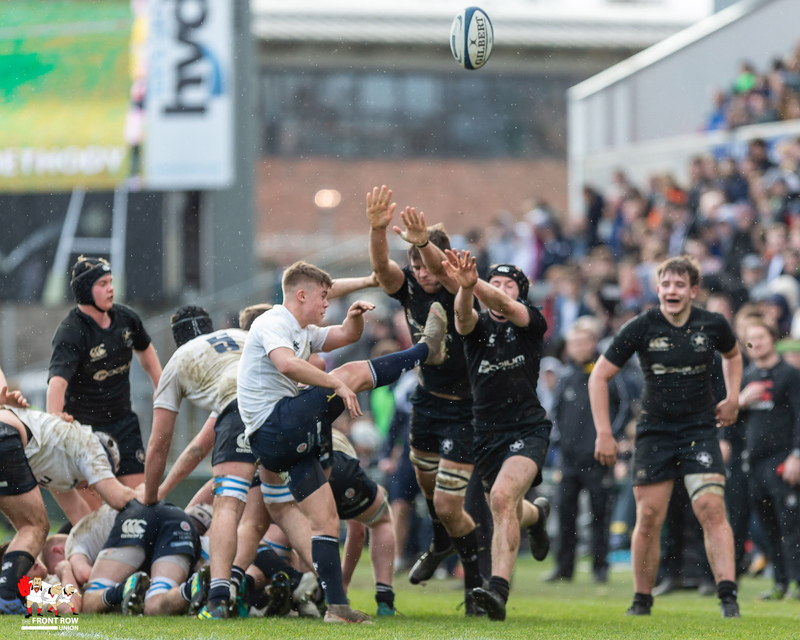 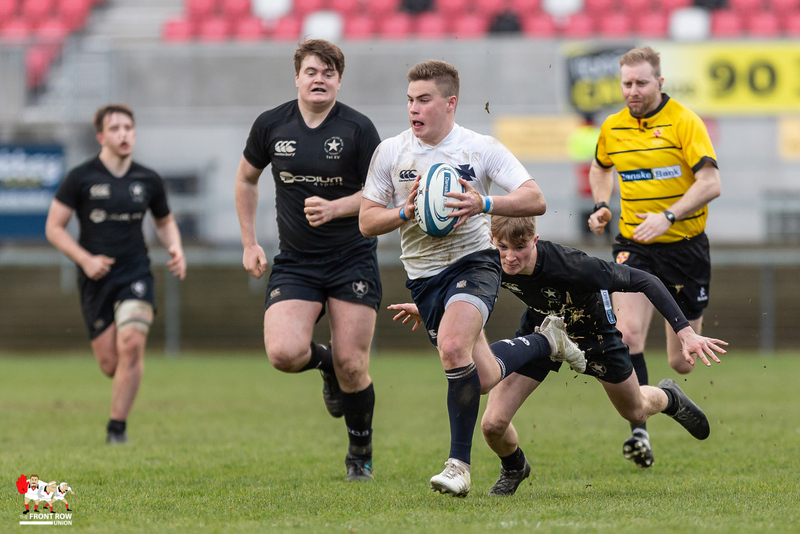 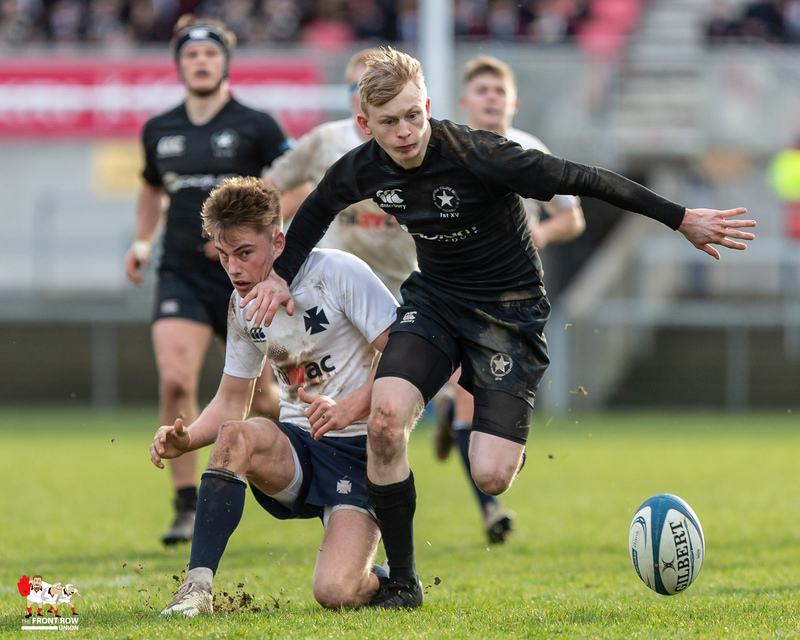 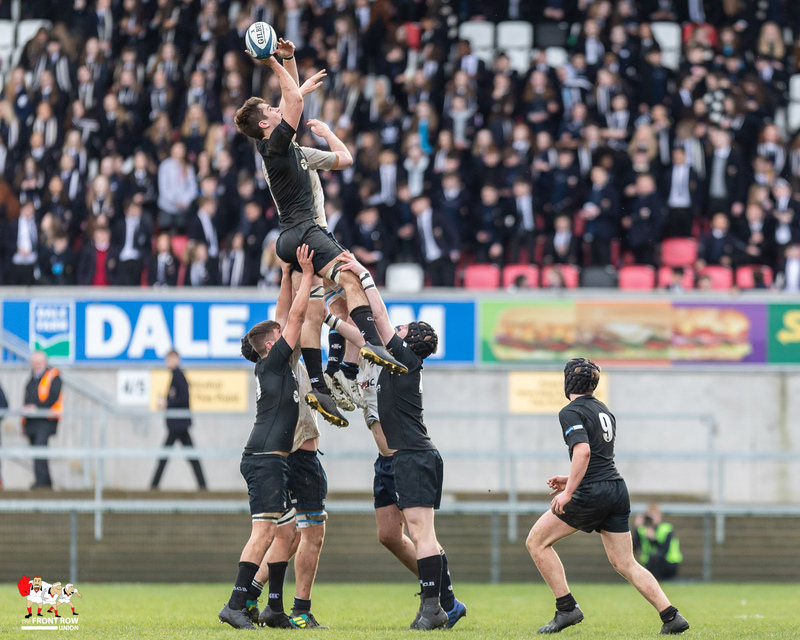 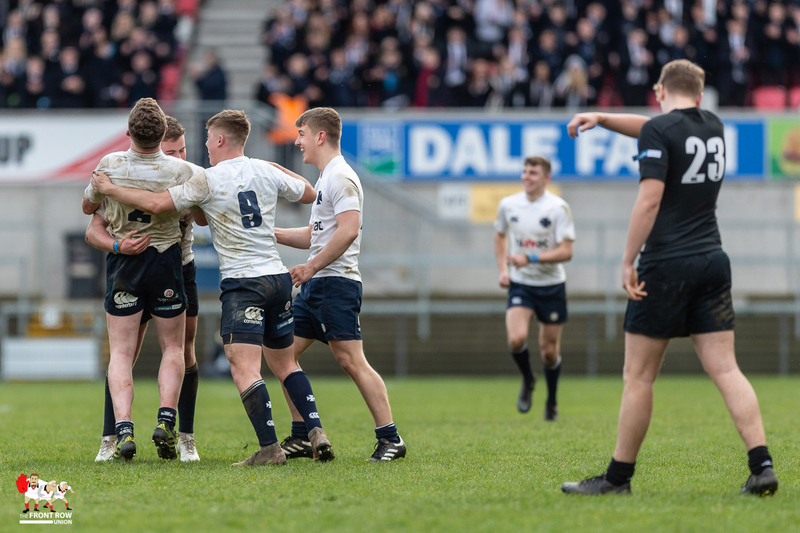 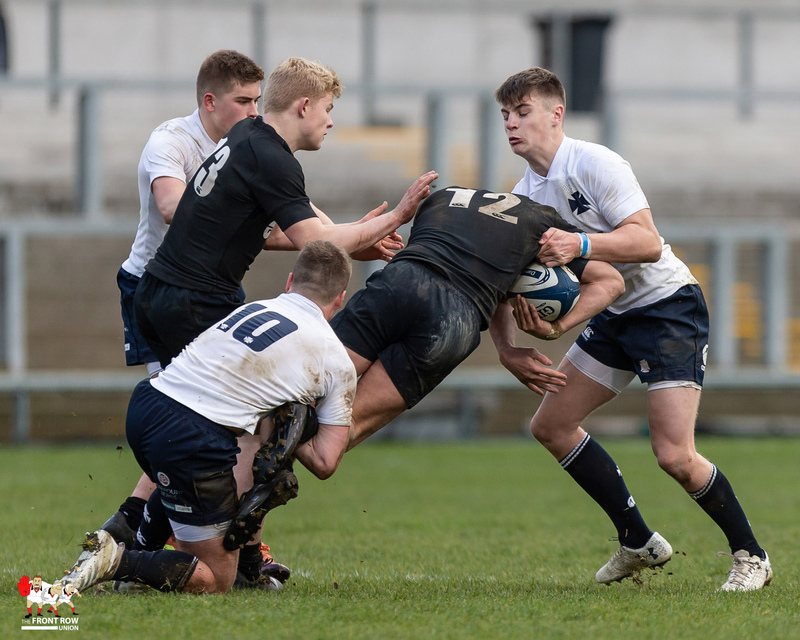 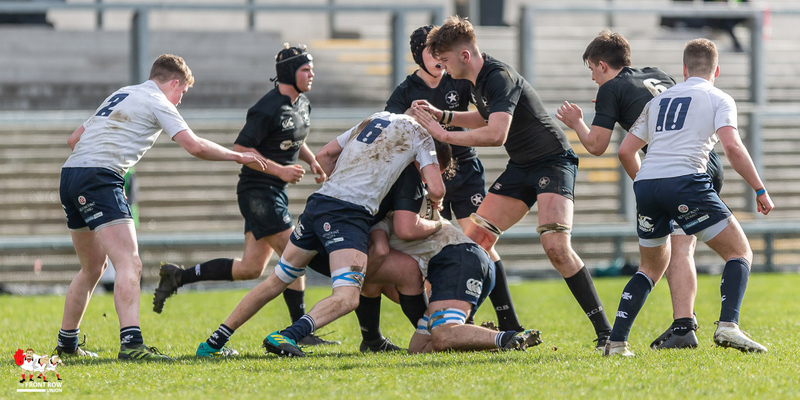 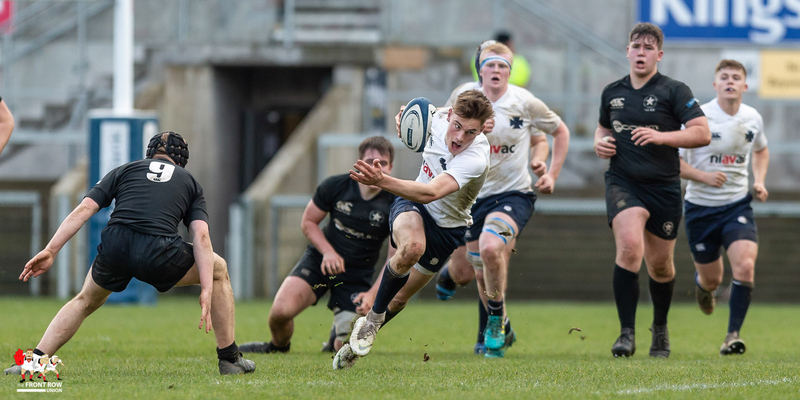 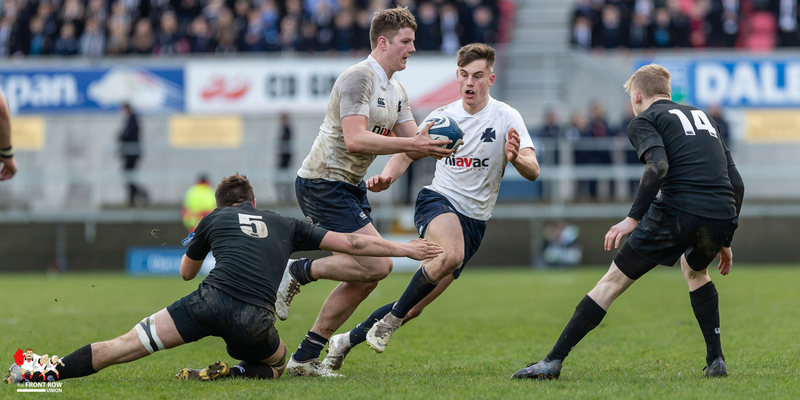 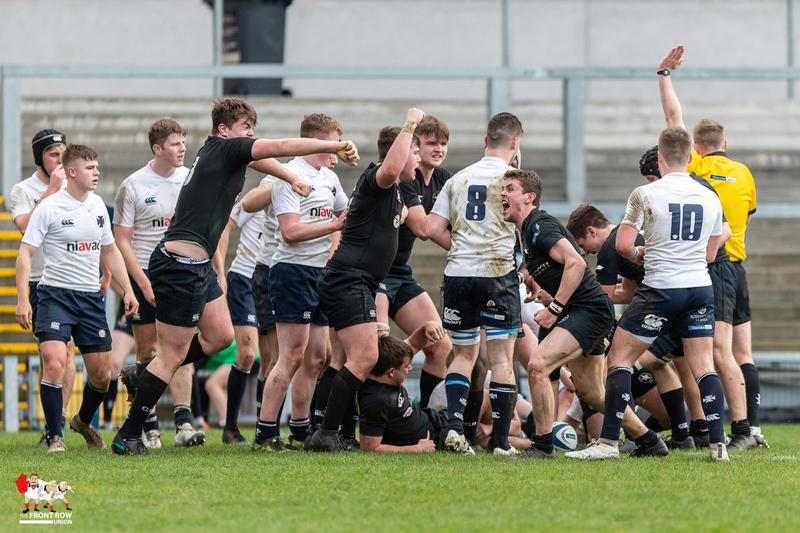 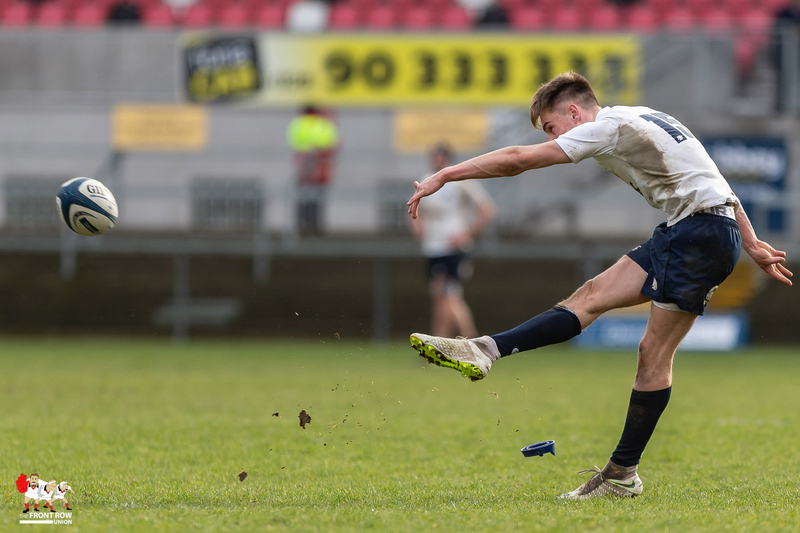 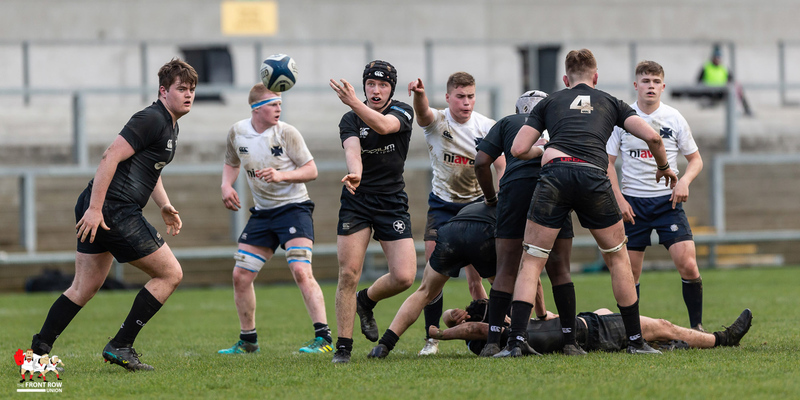 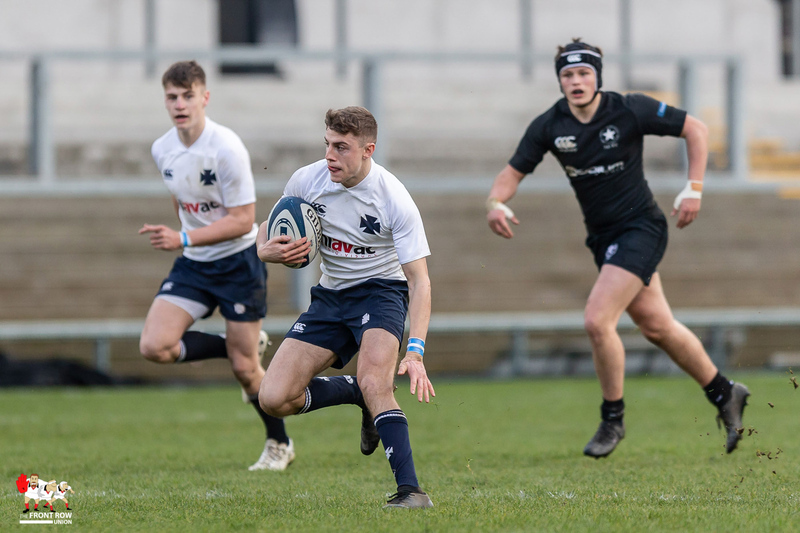 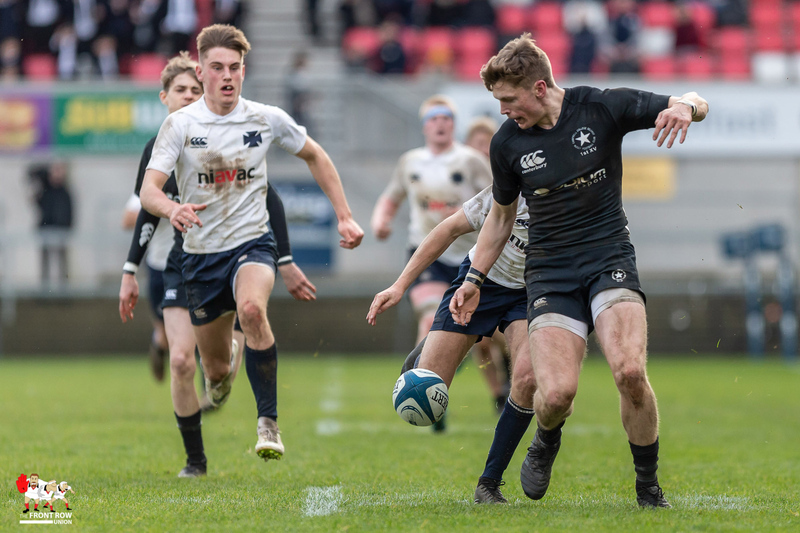 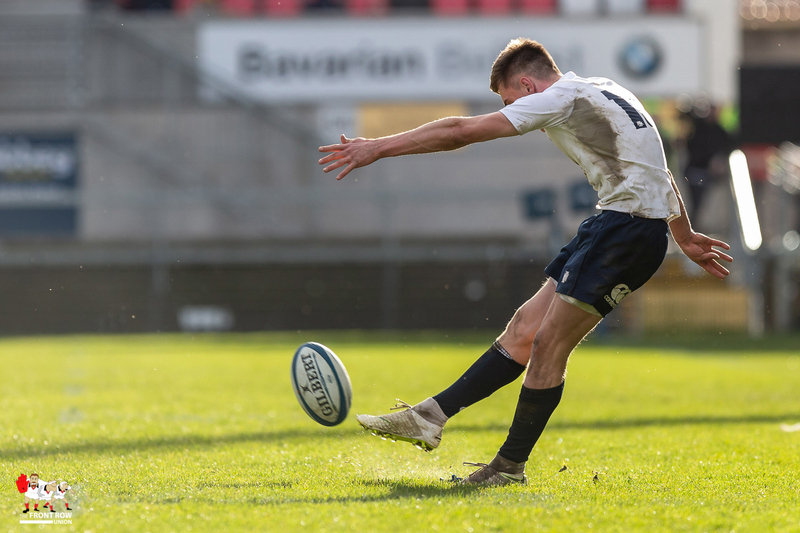 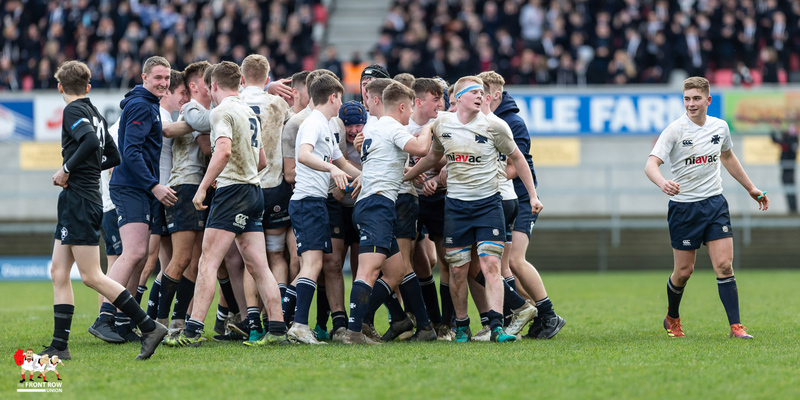 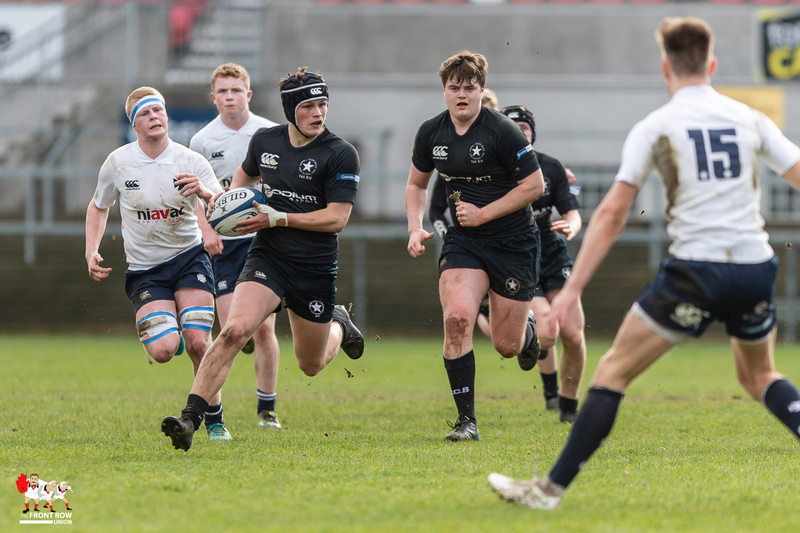 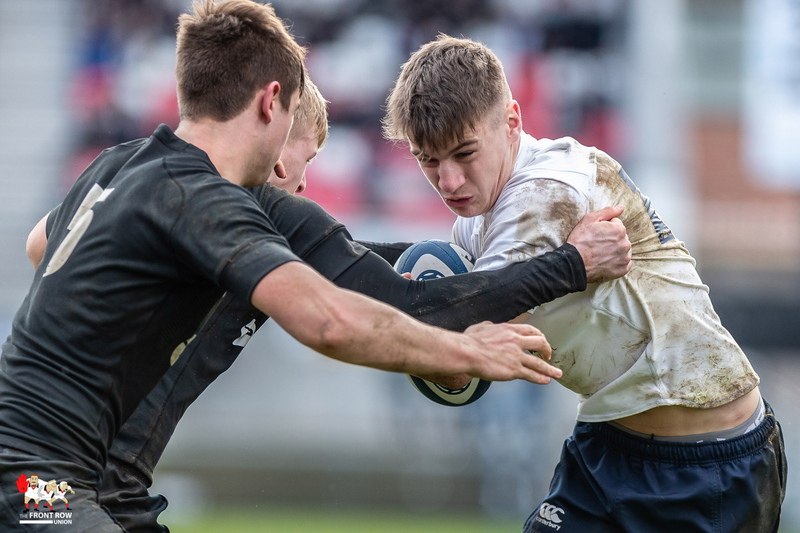 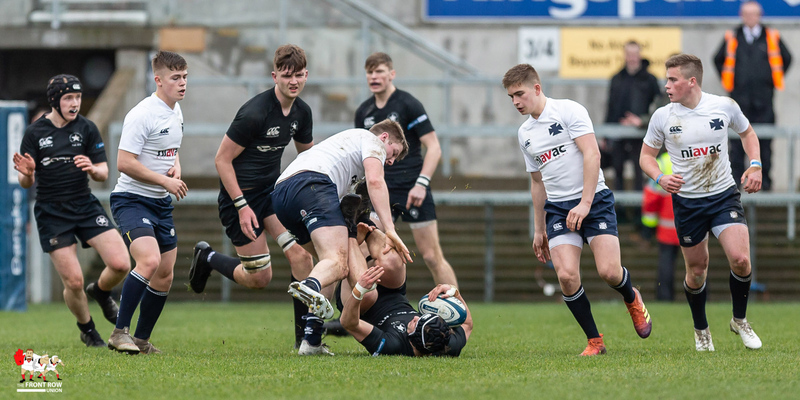 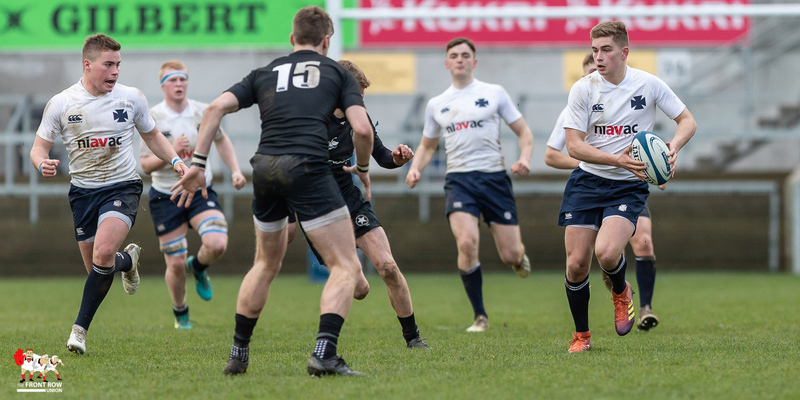 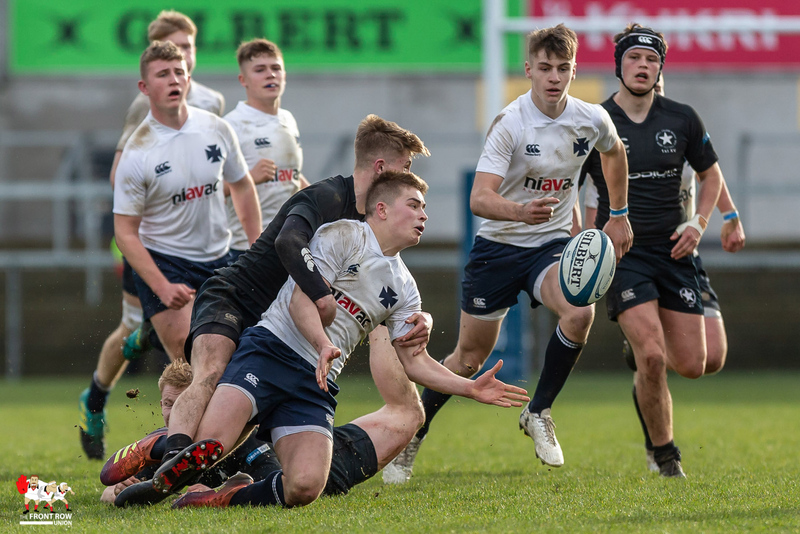 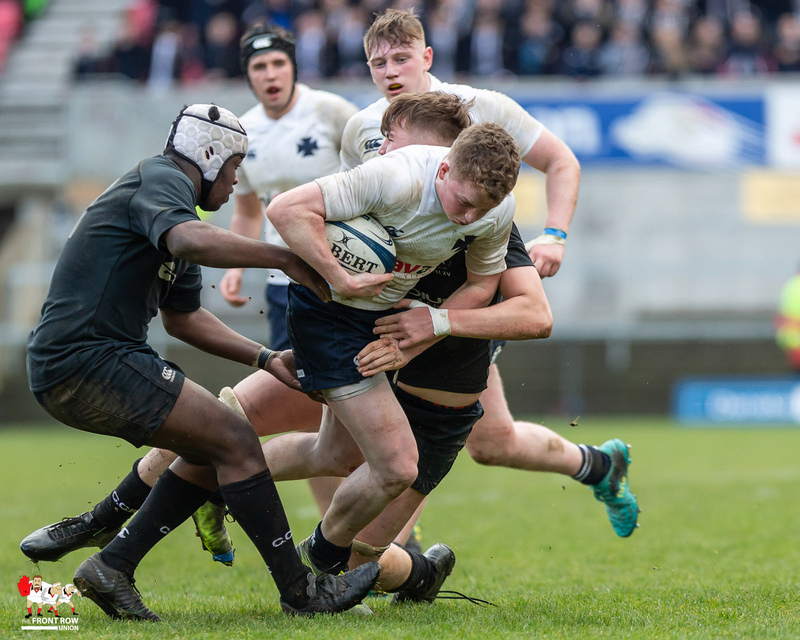 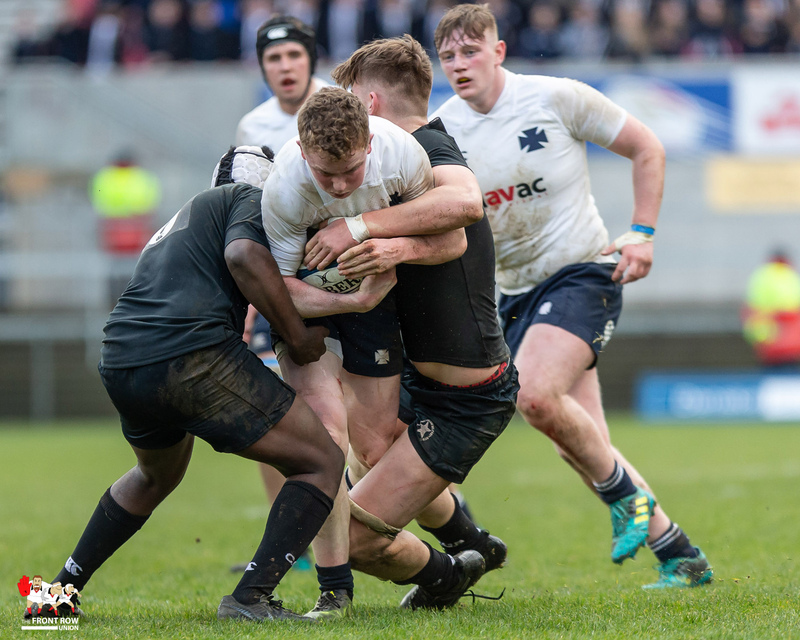 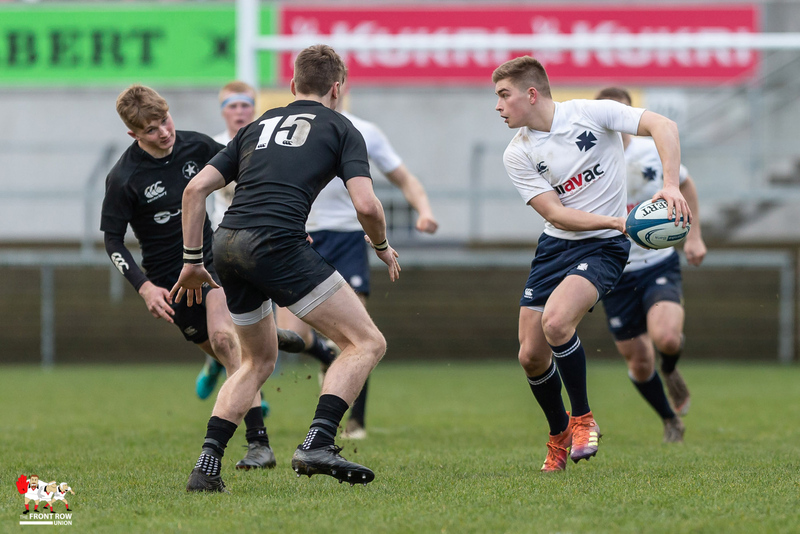 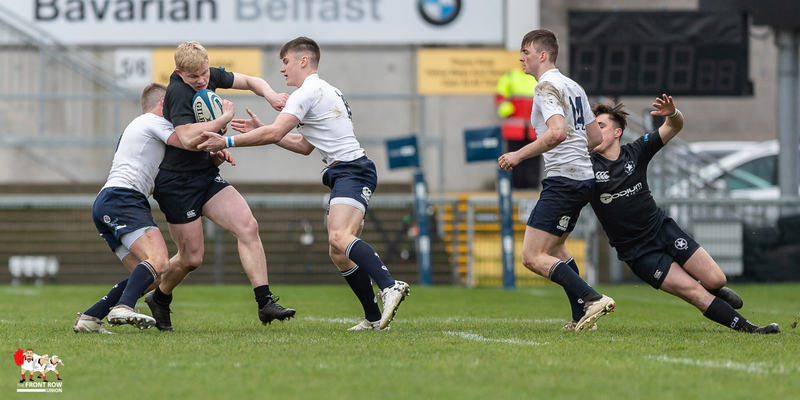 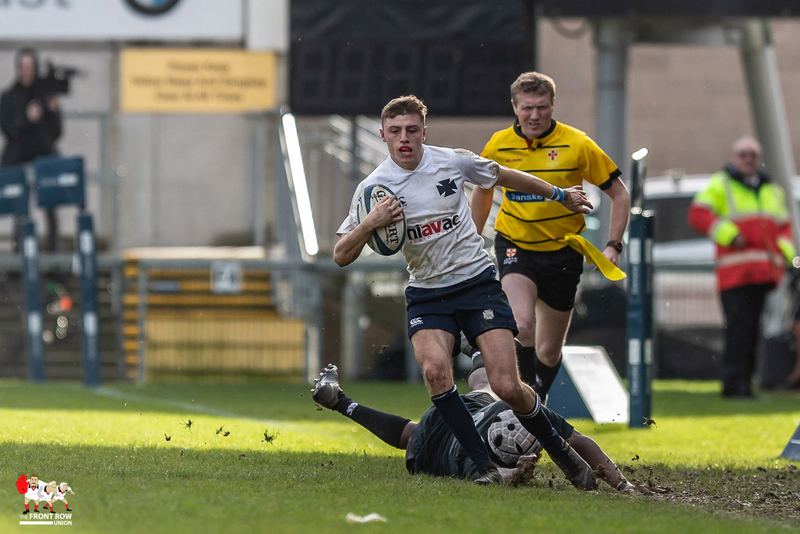 A second half blitz by Methodist College saw them record a resounding 17 – 45 win against Campbell College in the Ulster Schools Cup Final earlier this afternoon. 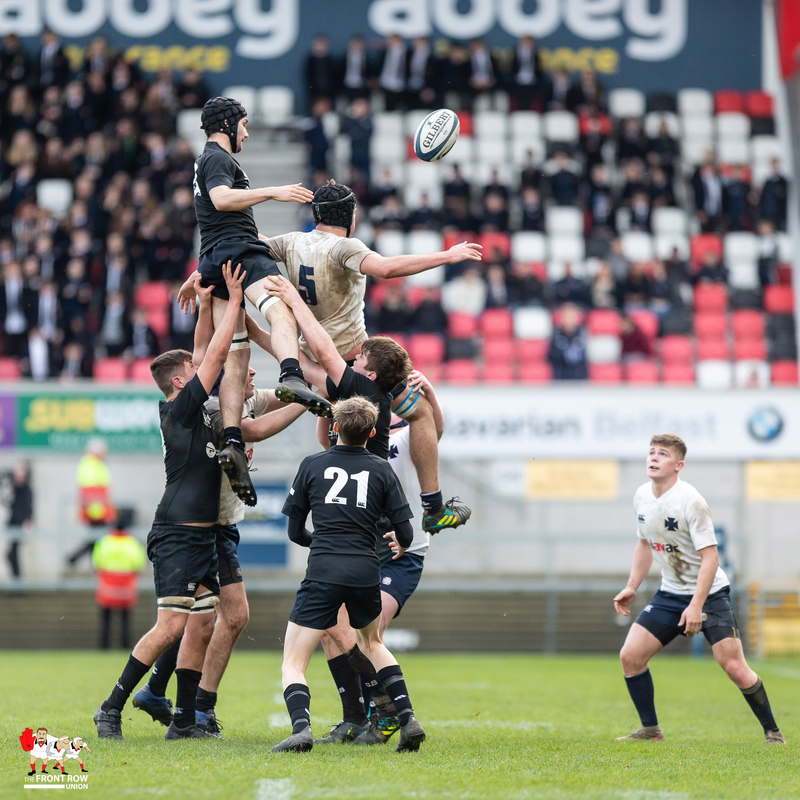 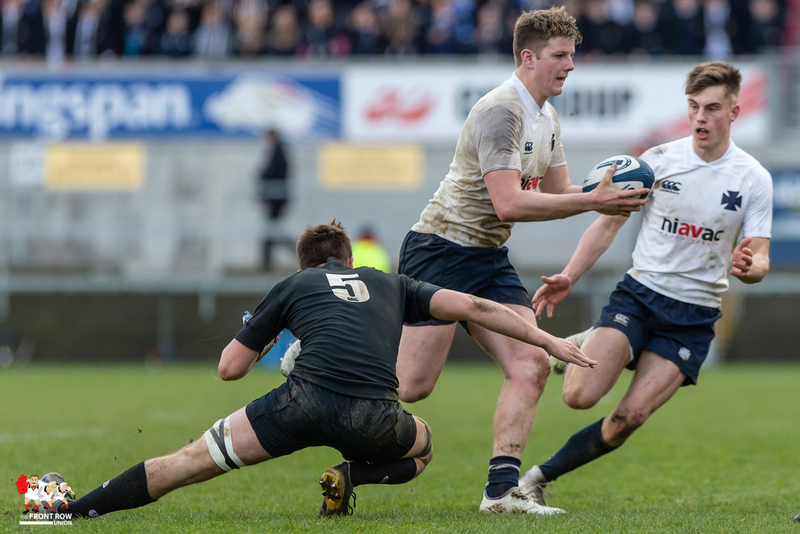 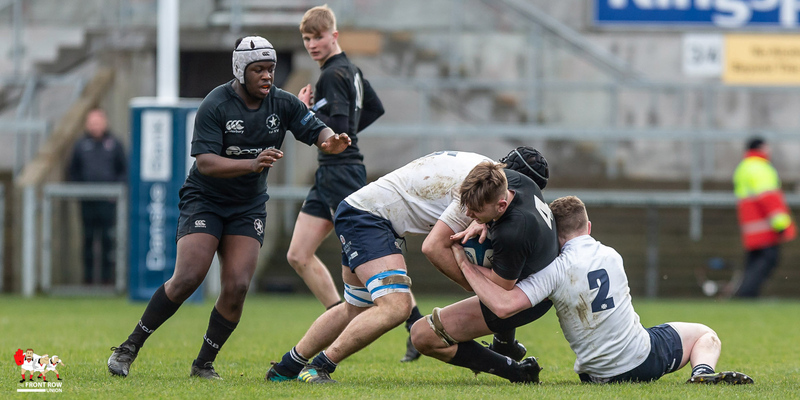 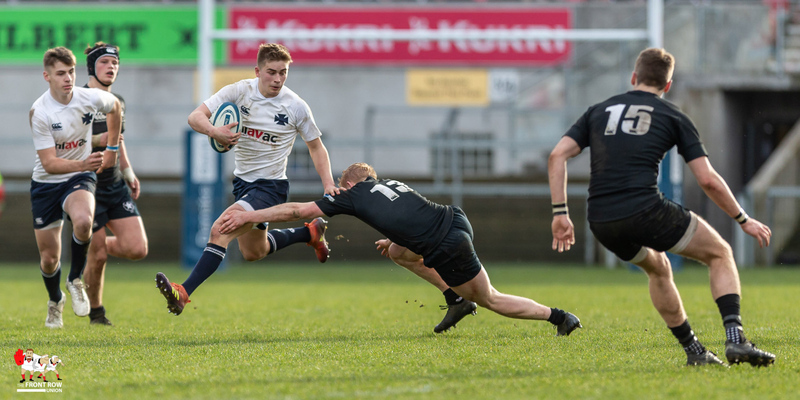 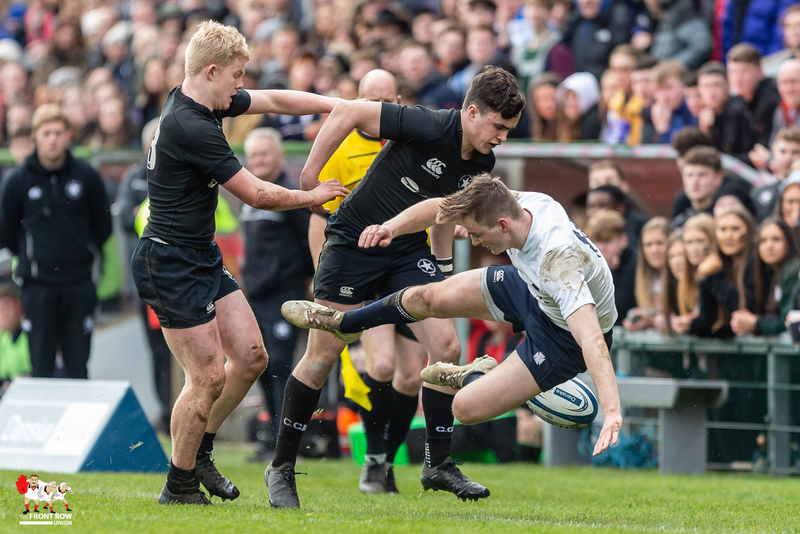 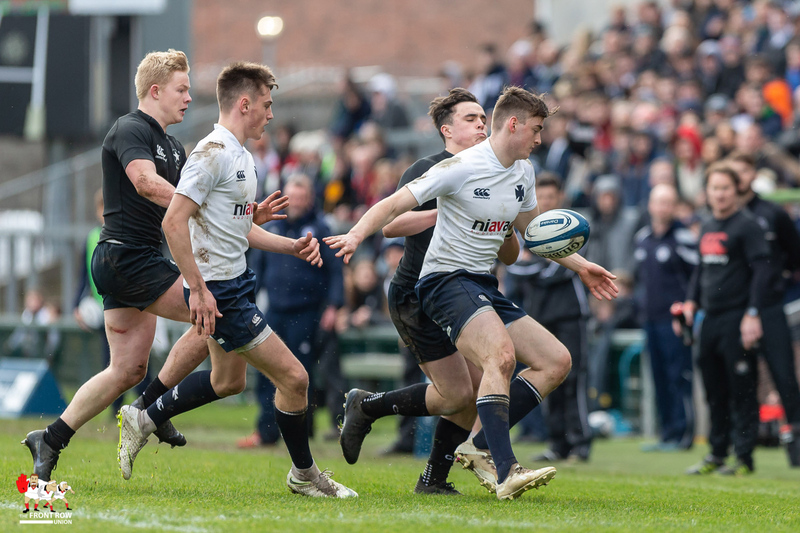 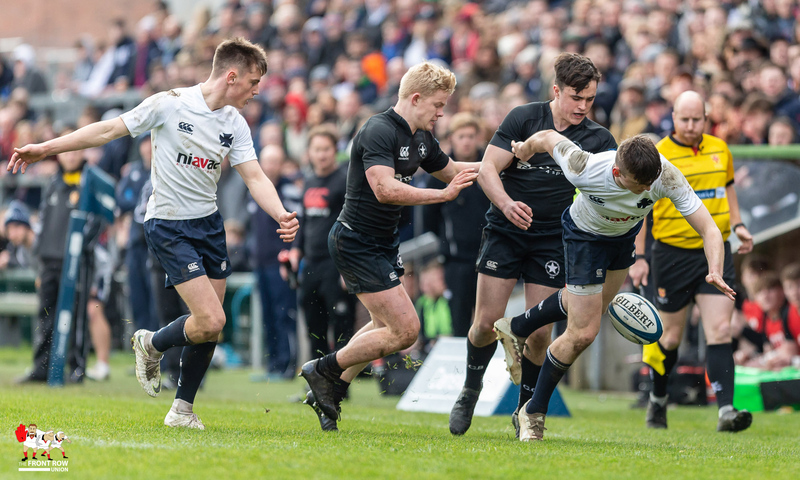 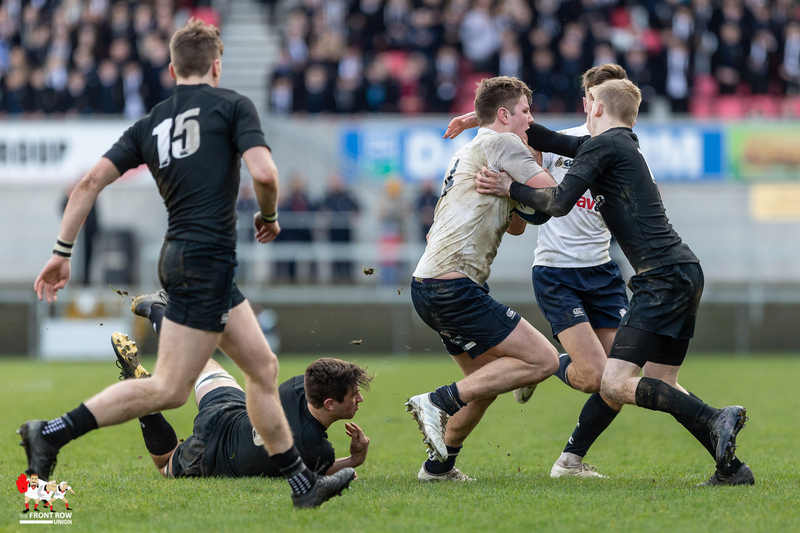 Campbell had been bucking the predictions from our Rugby Rankings throughout their impressive Schools Cup run, but the stats hit home with a vengeance as top seeds Methody ran in five second half tries, to add to two in the first half, to confirm their standing as the No. 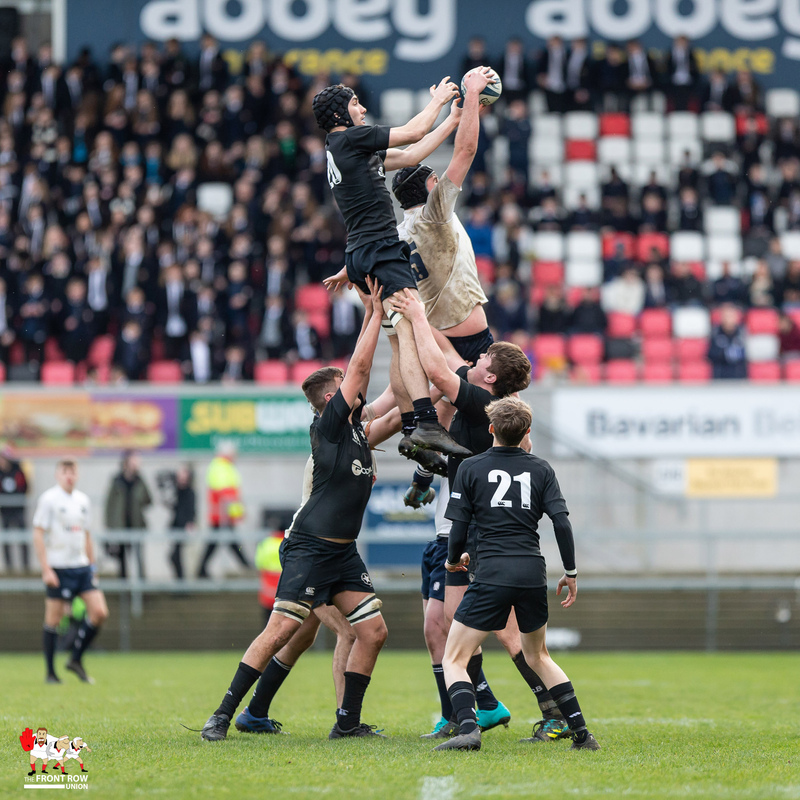 1 Schools Rugby Side in Ulster this season. 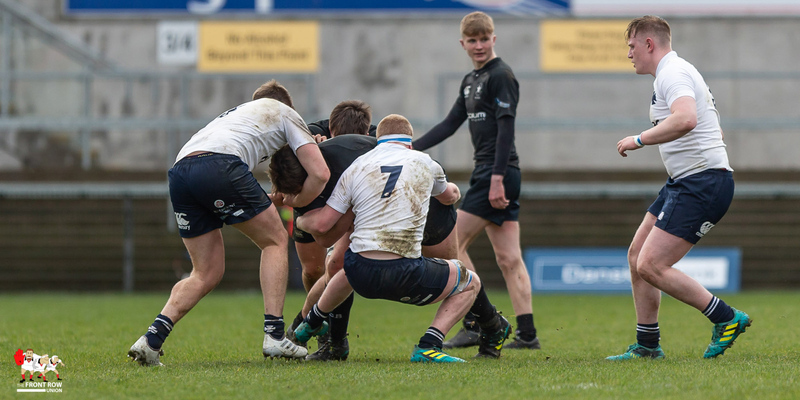 Methody opened the scoring on the 11th minute with Ben Gourley crossing for Ethan McIlroy to convert, but Campbell responded, six minutes later, through Harry Jackson who found the line at the bottom of a maul, and Conor Rankin drilled over the conversion to tie the game. 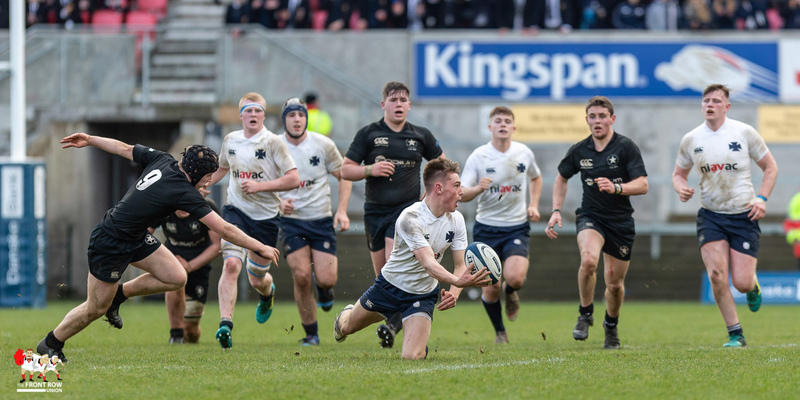 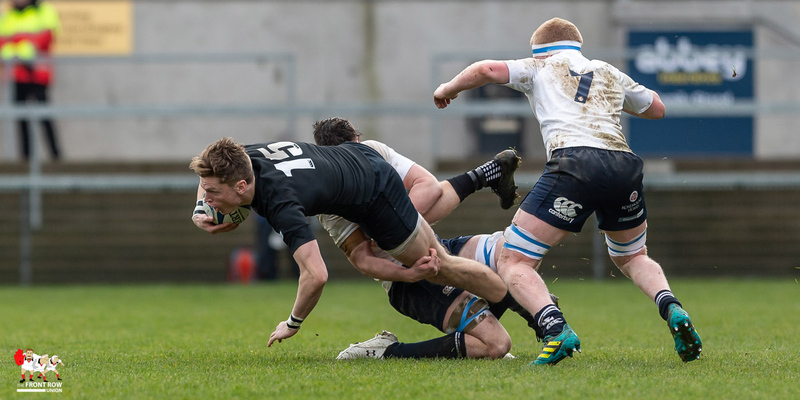 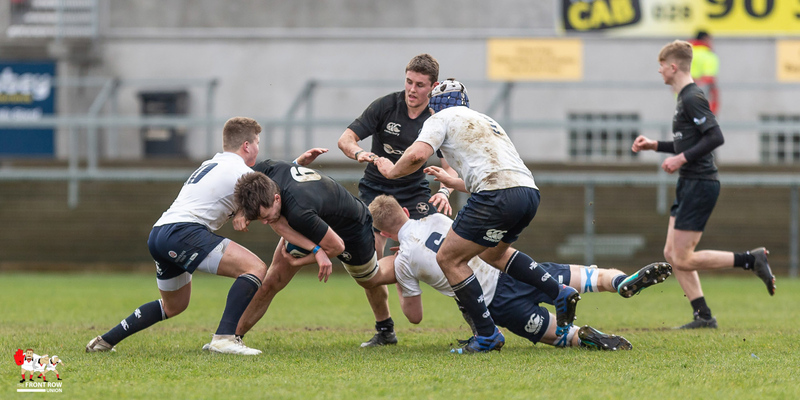 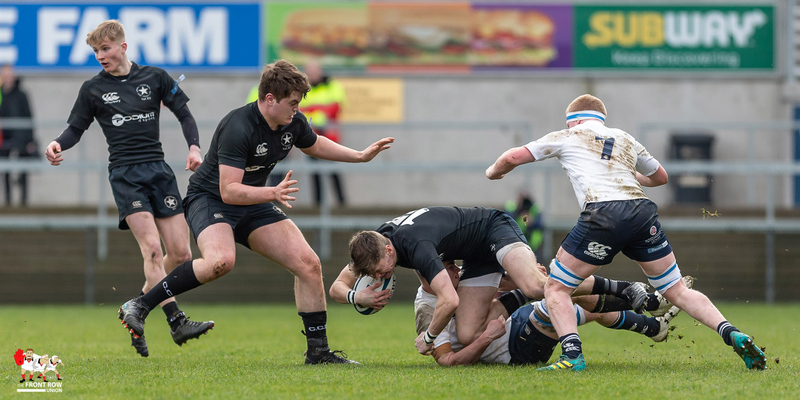 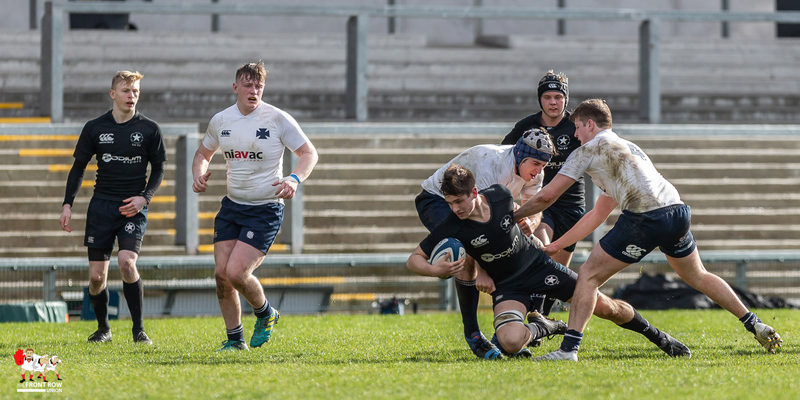 Rankin pushed Campbell into the lead at the start of the second quarter following a yellow card offence from Methody’s McIlroy but once restored to a full side the Methody side ran in two tries, with Max Lyttle and Thomas Armstrong crossing. 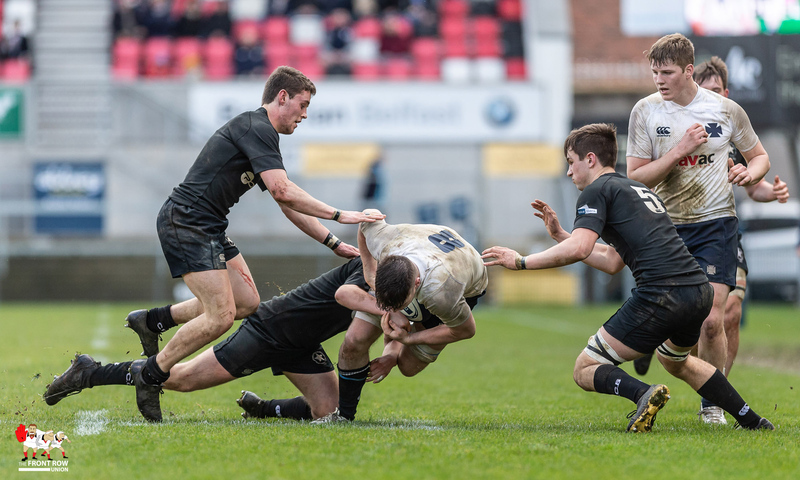 Both tries were converted by McIlroy to give Methody a 10 – 21 lead at the break. 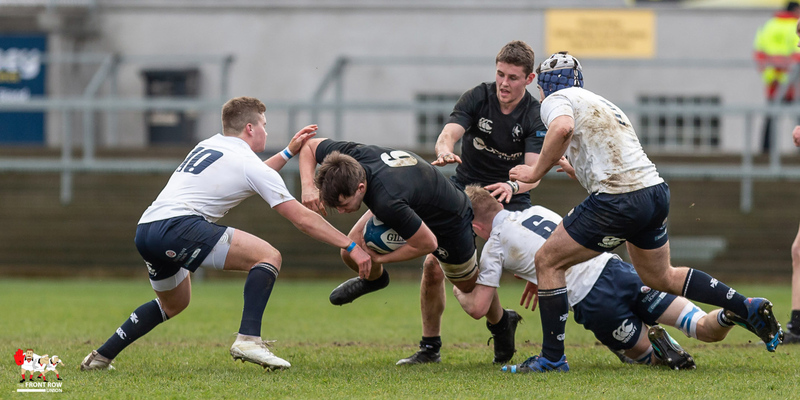 The scrum halves swapped scores at the start of the second half with Methody’s Callum Davidson sniping over over before his opposite number Dara Gaskin did the same minutes later for Campbell, taking the score to 17 – 26. 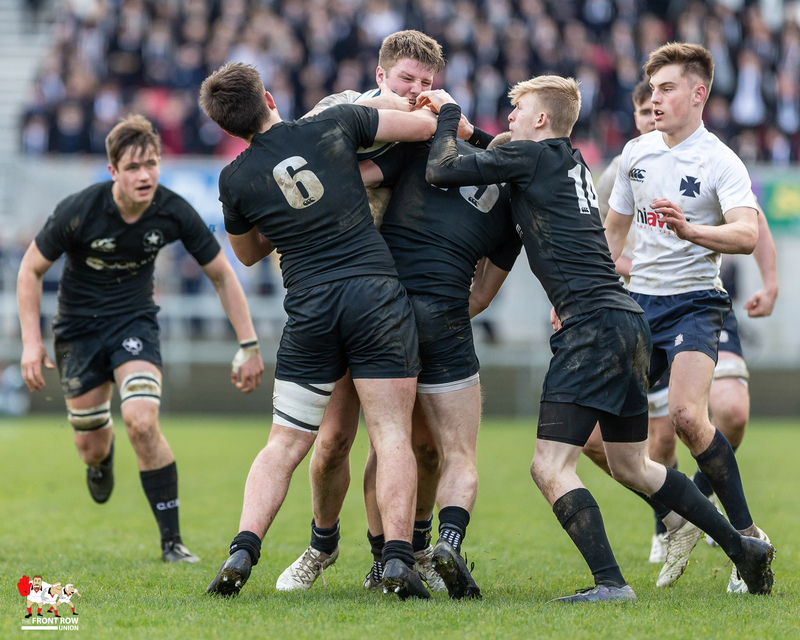 Unfortunately for Campbell, that was it as Methody ran riot in the final quarter. 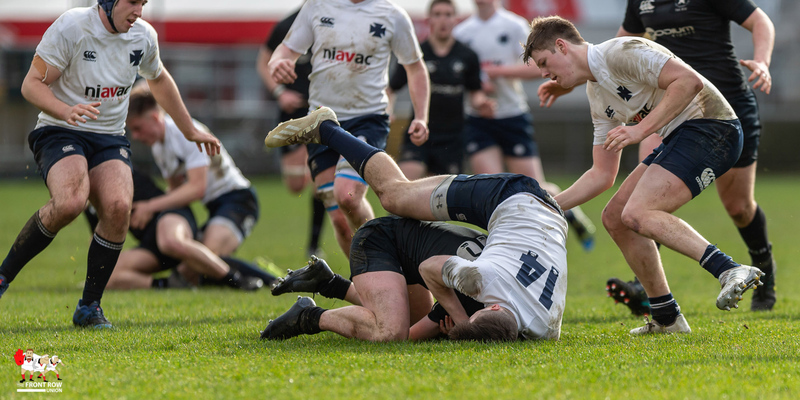 Flanker David Boden caught everyone napping at the front of a line out for an easy score before Tim Millar crossed shortly after. 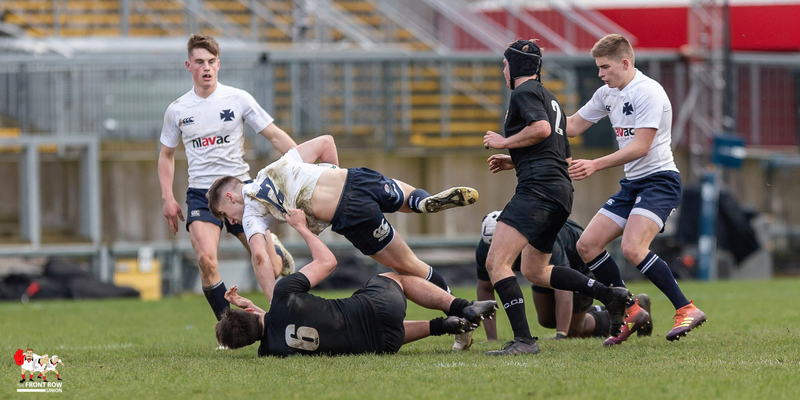 entering the action. 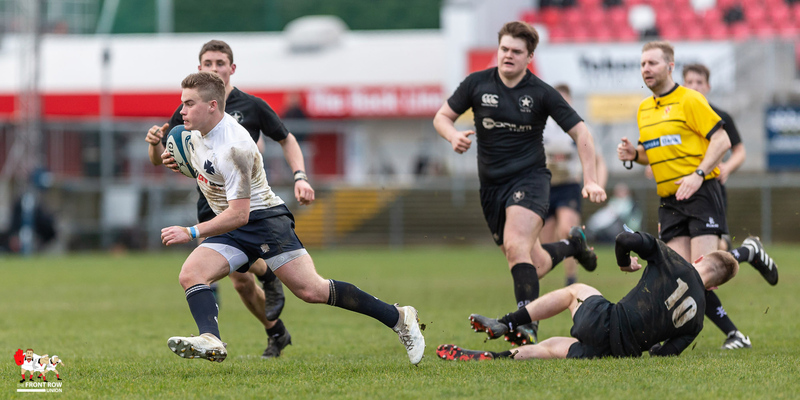 The last try of the day was an outstanding finish from Armstrong, who was sent on his way by McIlroy th talented scrum half converting two of the three tries to give a final score of Campbell College 17 Methodist College 45. 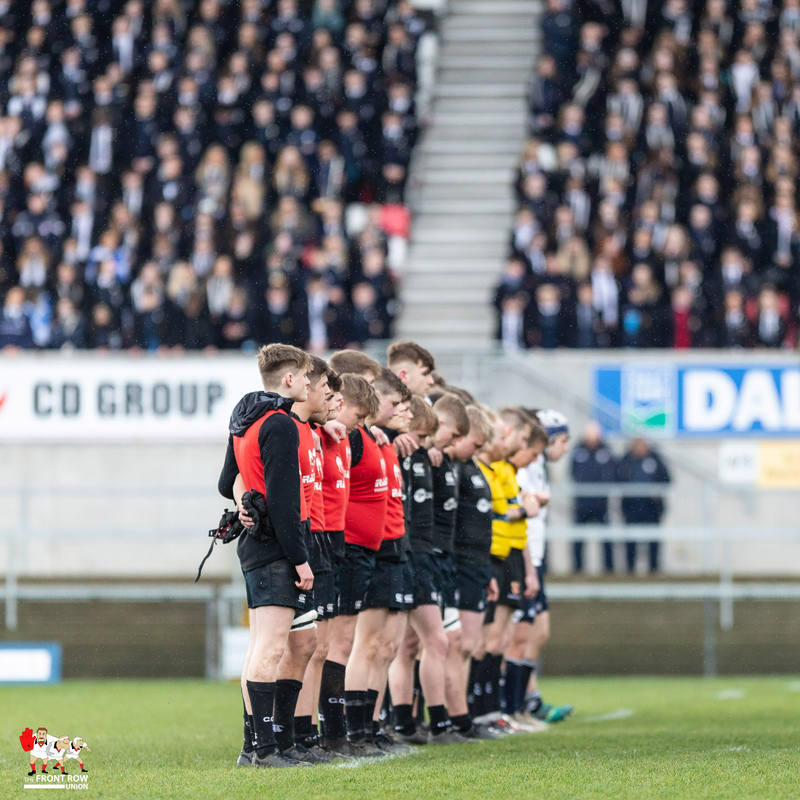 Campbell College: Conor Rankin, Kieran Harkness-Robertson, Rex Tinsley (C), Harry Owens, Danny Williamson, Ollie Ralston, Dara Gaskin, John Gildea, Harry Jackson, Patrick McAlpine, Kyle Gill, Jack Stinson, James Johnston, Ben Rainey, Tobi Olaniyan. 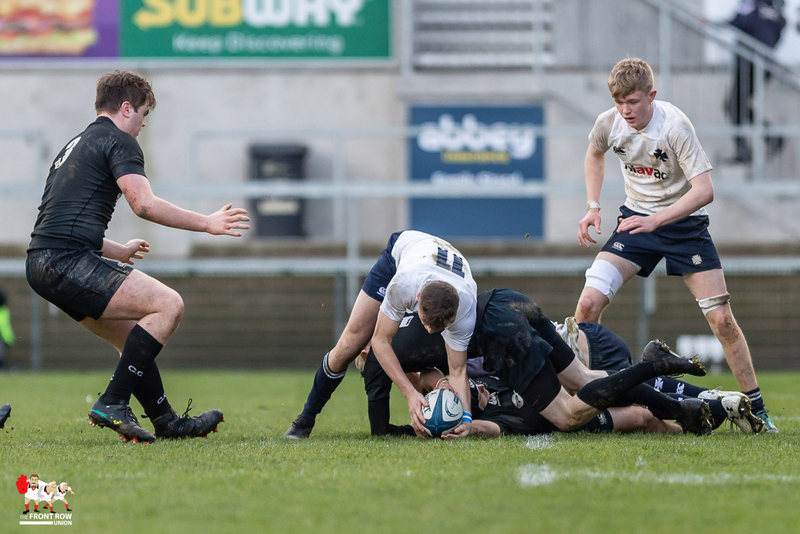 Replacements: Jack Boal, Luke Collins, Matthew Poor, Connor McCauley, Jamie Brennan, Harry Bell, Finlay Parks, Hugh Minford. 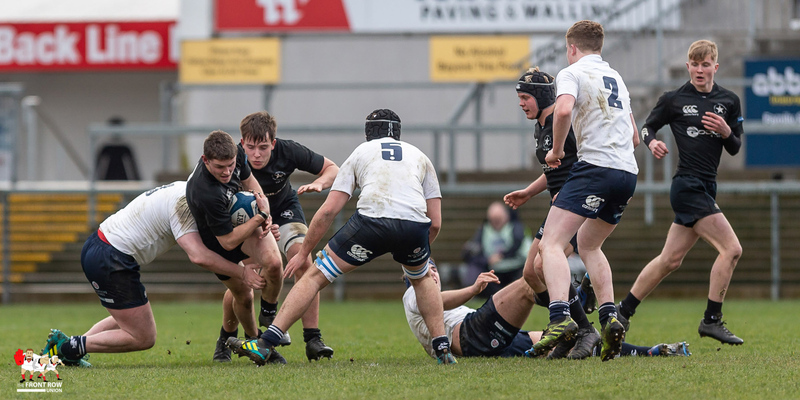 Methodist College: Ethan McIlroy, Tom O’Doherty, Robbie Armstrong, John Fletcher, Chris Larmour, Thomas Armstrong, Callum Davidson, Ben Crangle, Daniel Humphreys, Matthew Hunter, Max Lyttle, Ben Gourley, David Boden, Adam Reid, Kevin McNaboe (C). 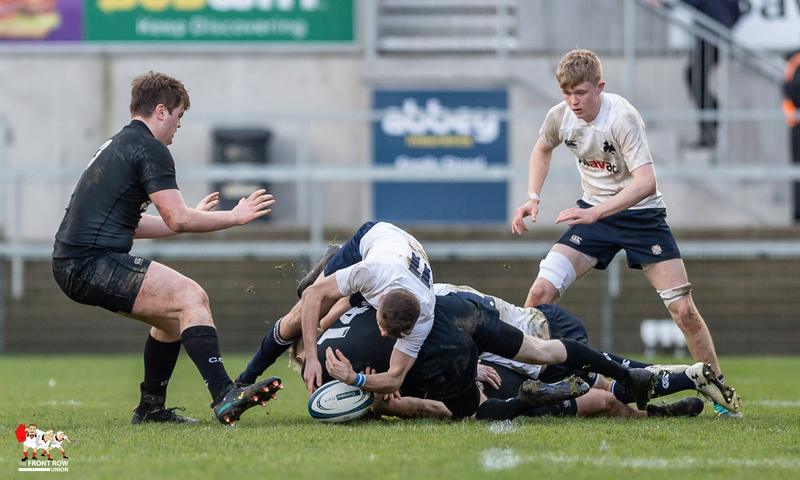 Replacements: Jack Watson, Patrick Johnston, Dan Dougan, Adam Simms, Tom Millar, Luke Simms, Luke Graham, Louis Millar. 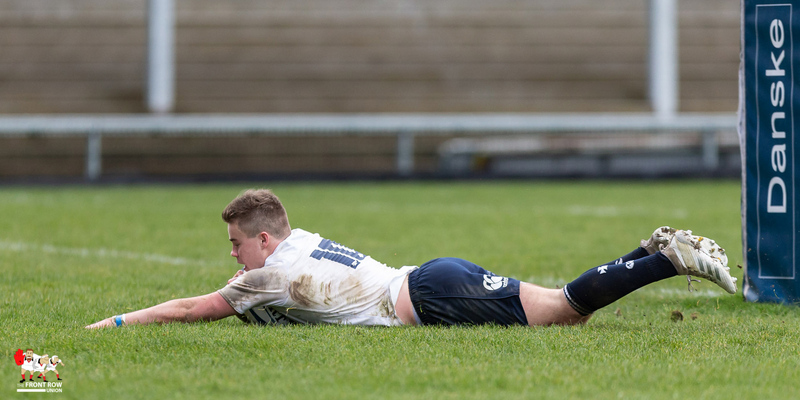 Monday 18th March 2019. 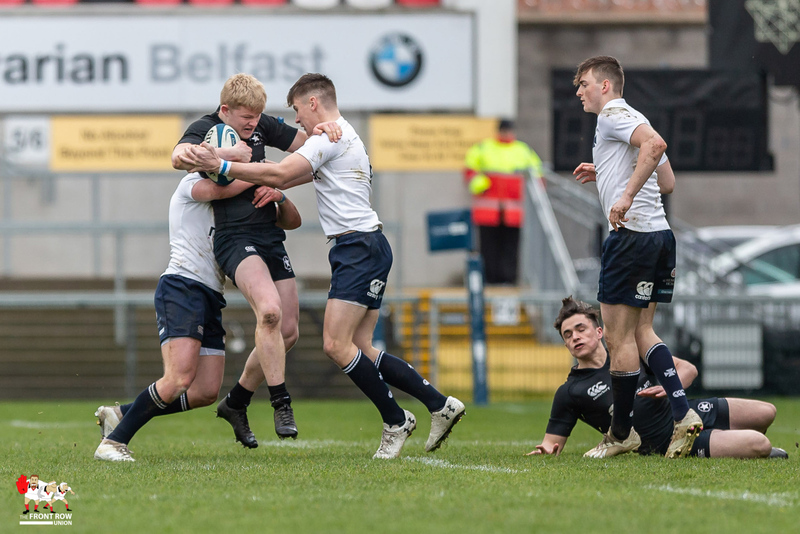 Methodist College Belfast claim their 36th Schools Cup with a resounding 17 - 45 win against Campbell College Befast at Ravenhill. 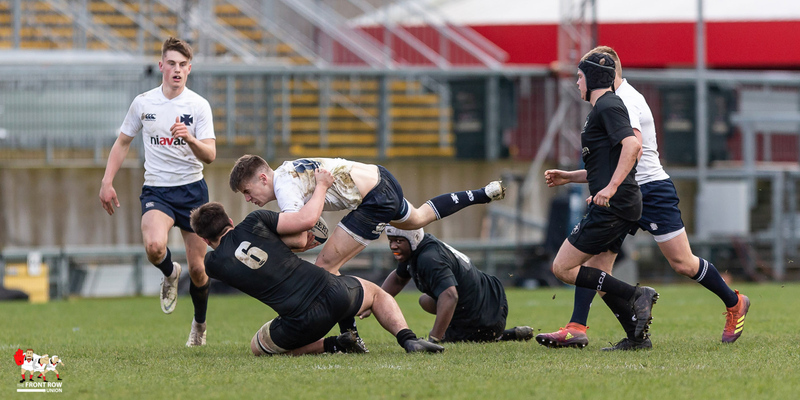 Next Article Women 6N: Who did What?